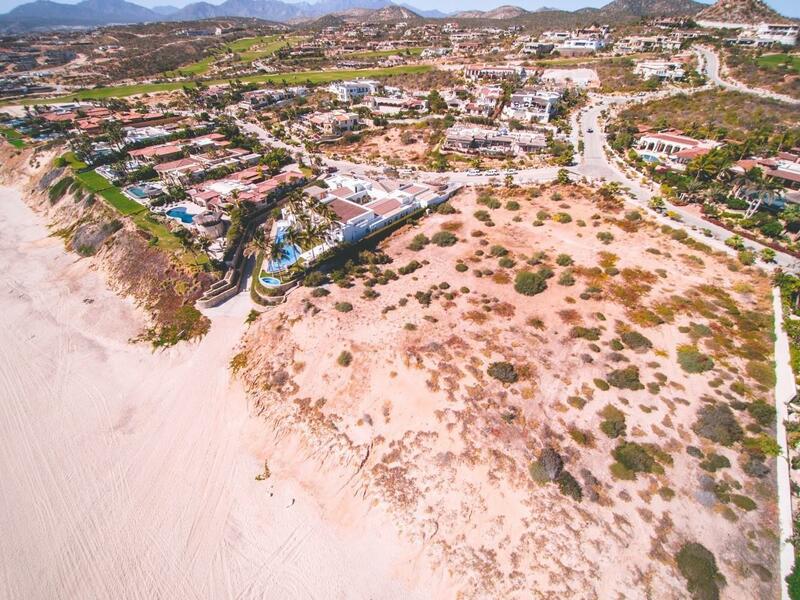 Description: See Drone Video in Photo Tab. 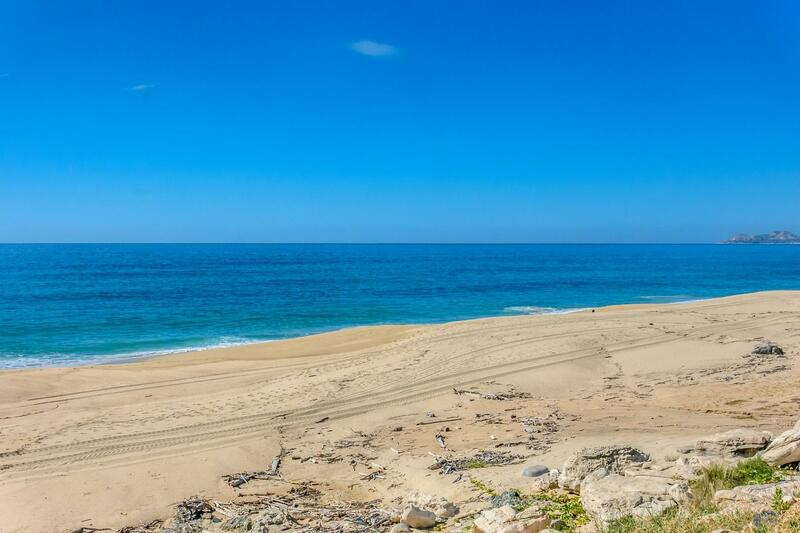 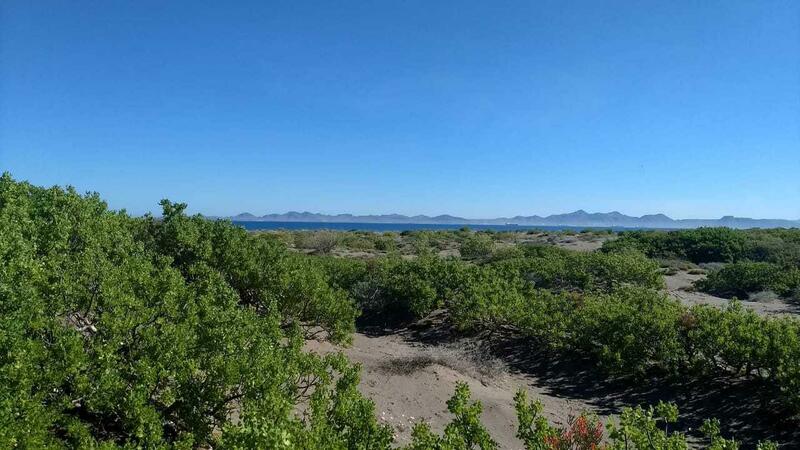 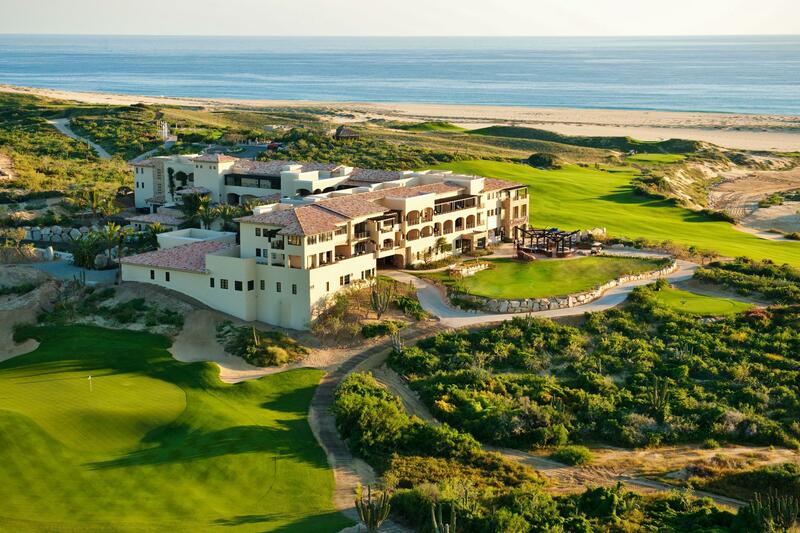 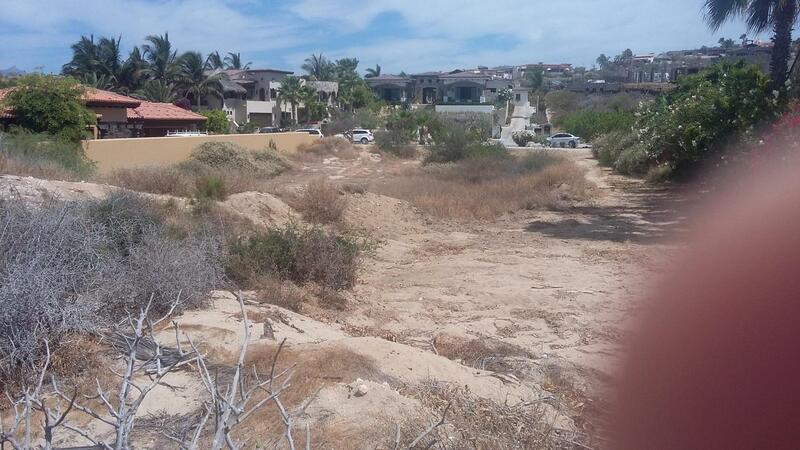 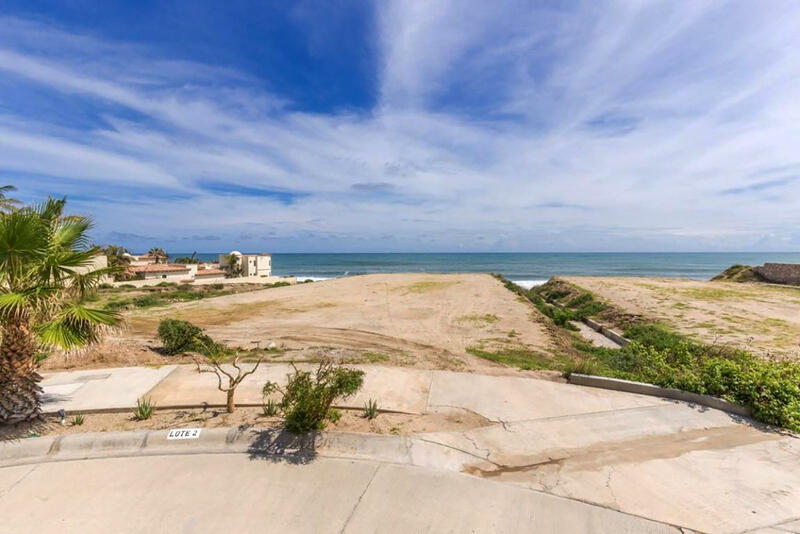 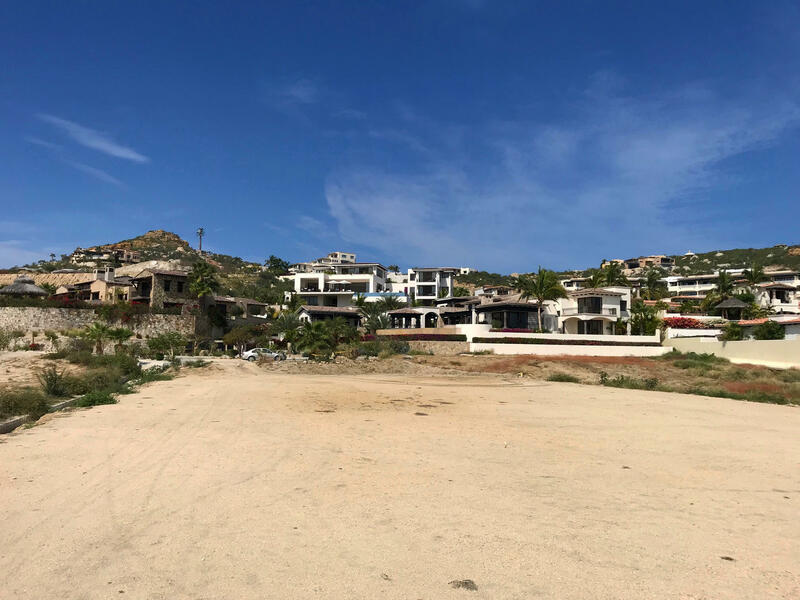 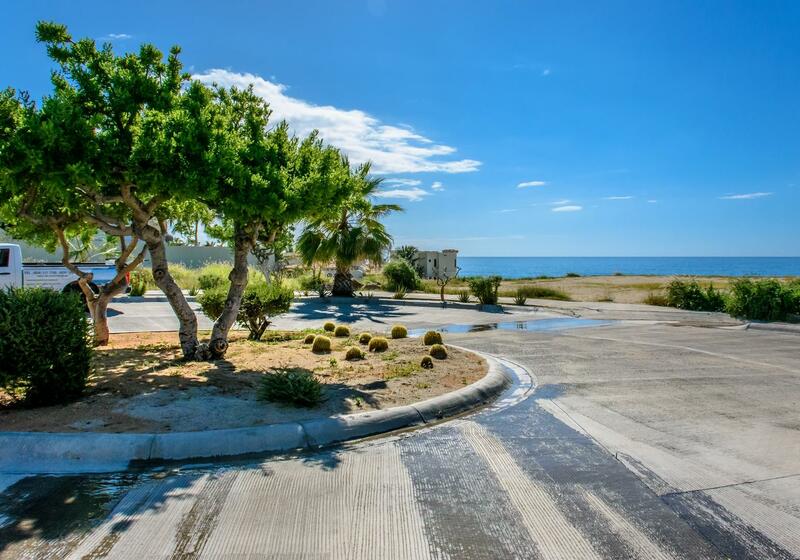 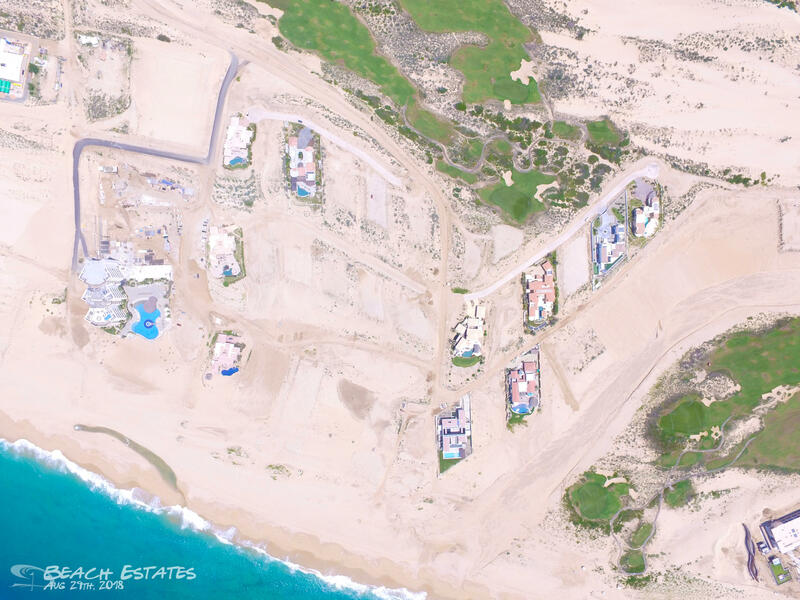 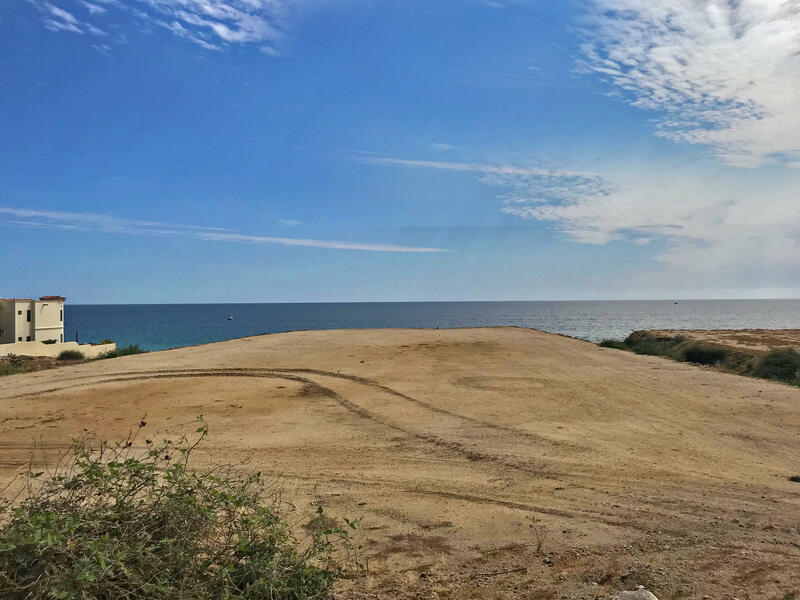 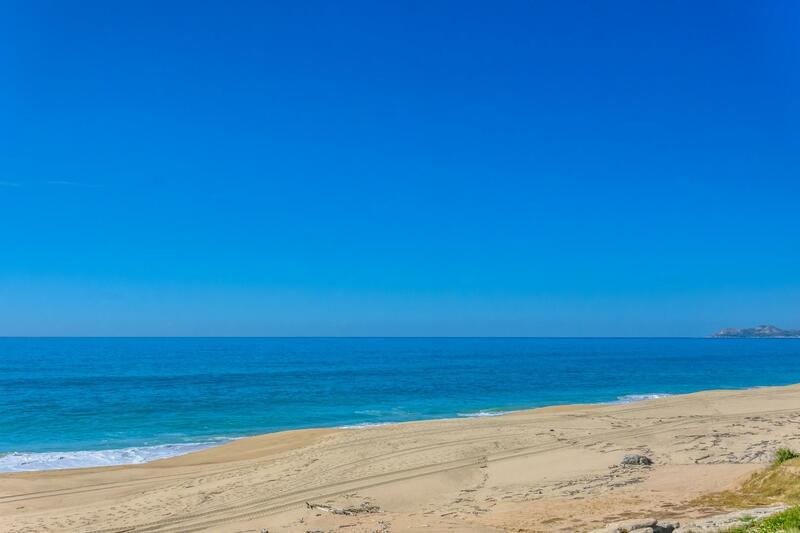 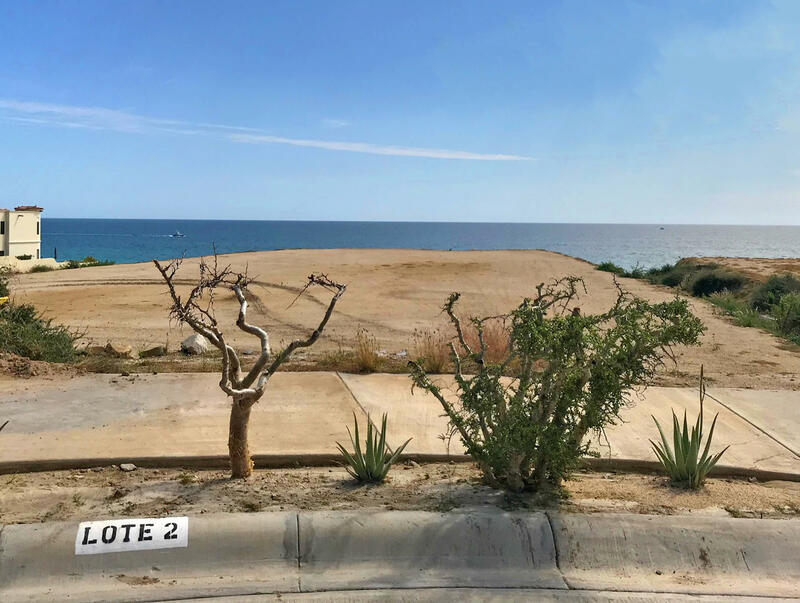 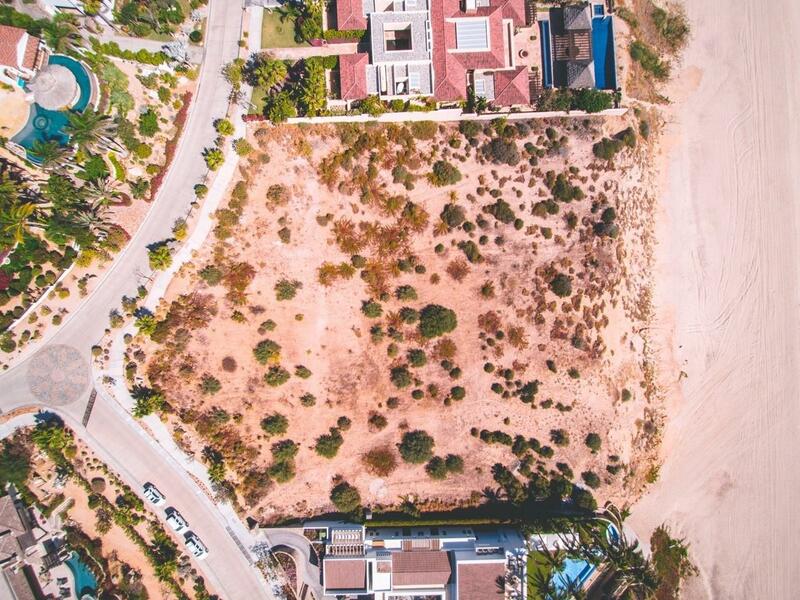 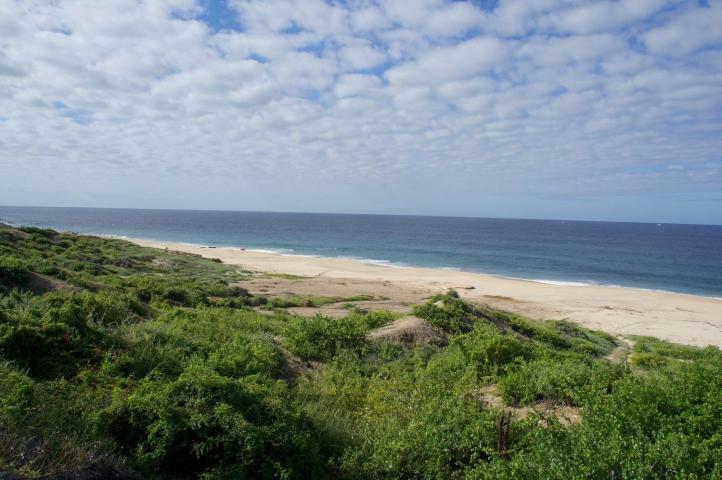 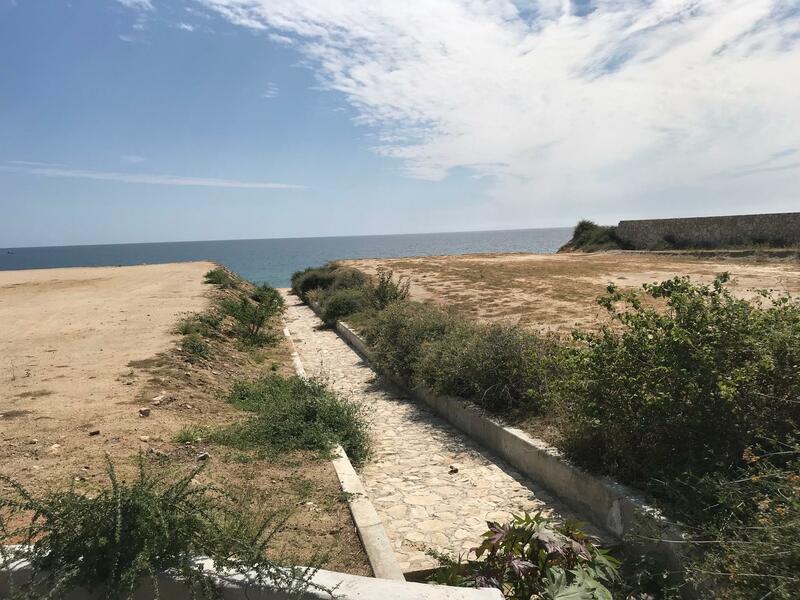 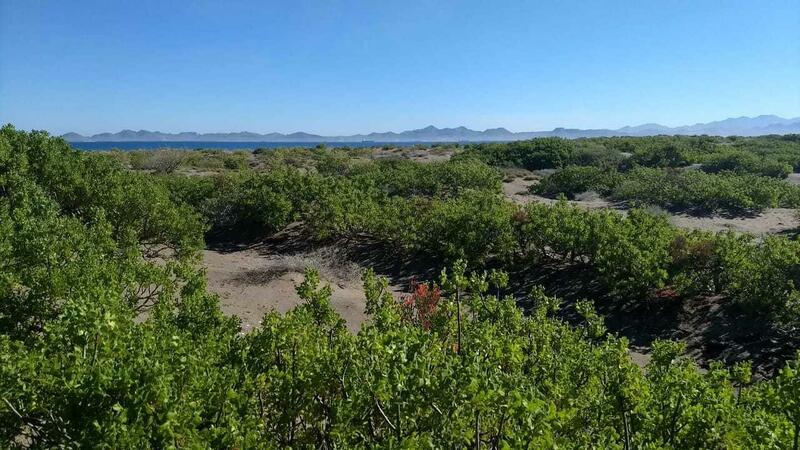 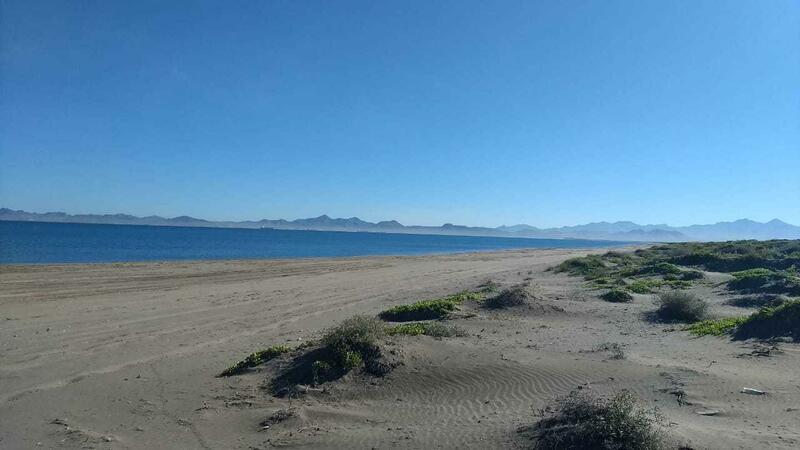 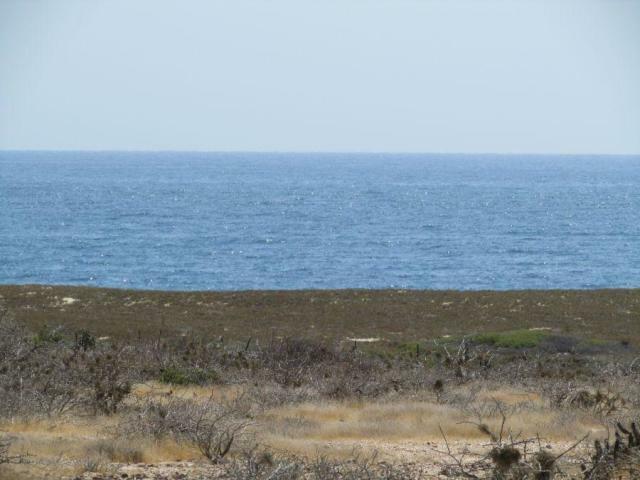 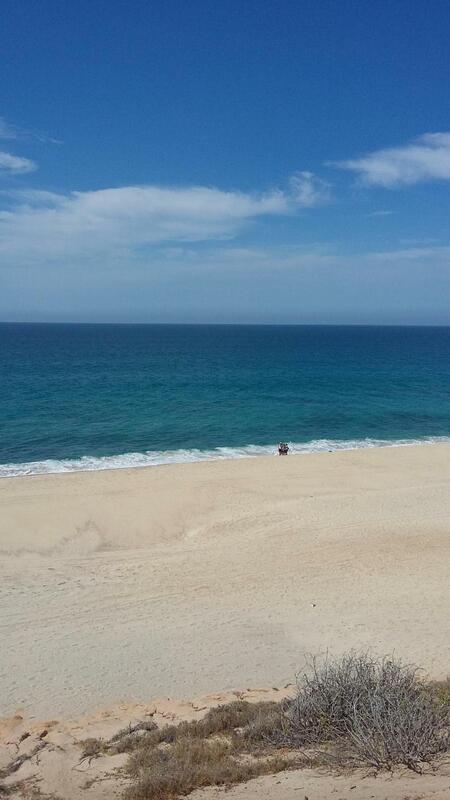 Description: One of few remaining beachfront residential building properties in all of Los Cabos, this plot, #13 (and another, adjacent #14) is located right on the beachfront in Fundadores, the most desirable location in stunning Puerto Los Cabos. 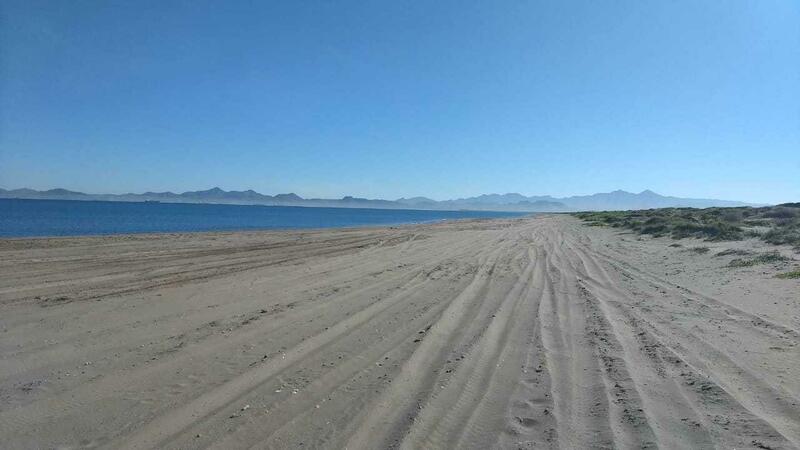 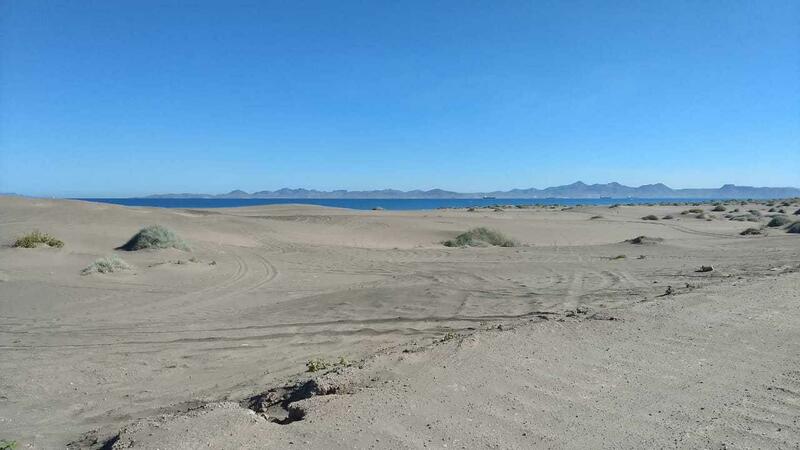 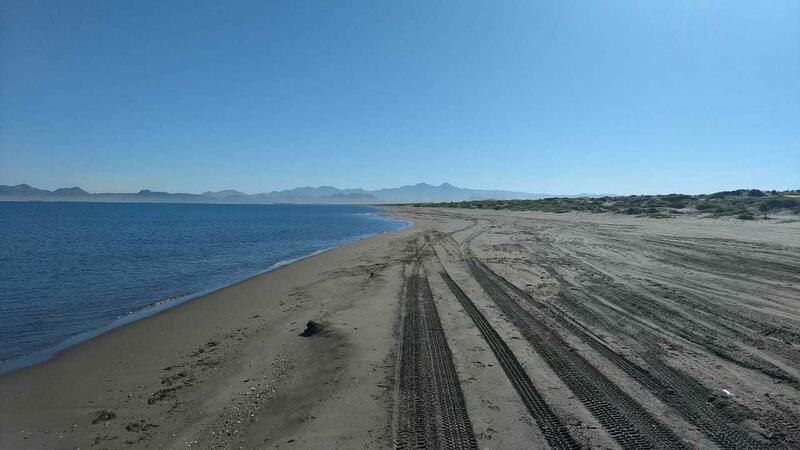 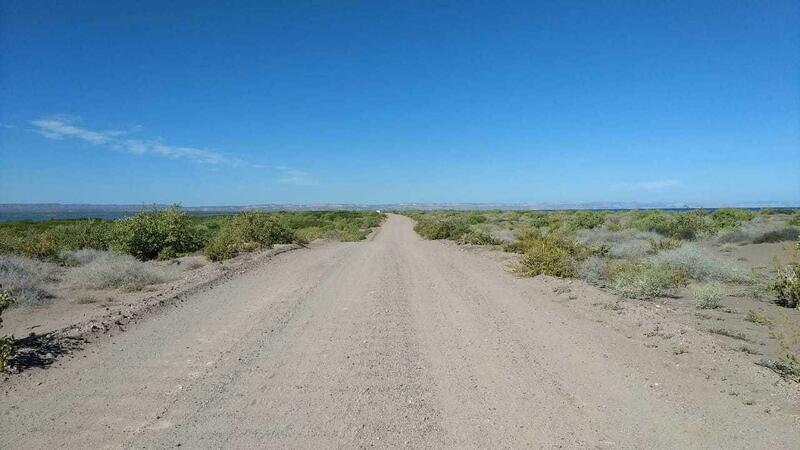 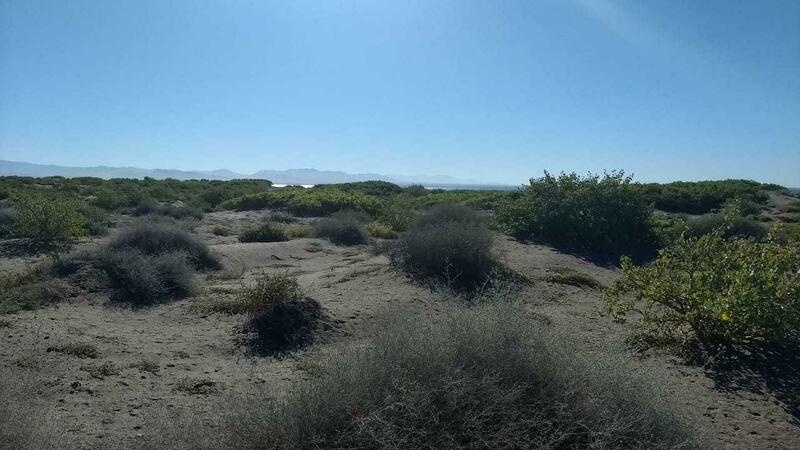 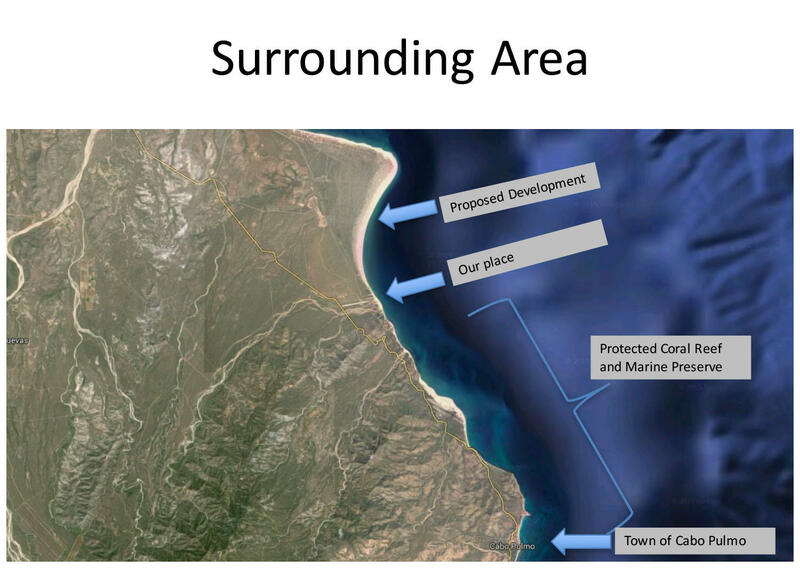 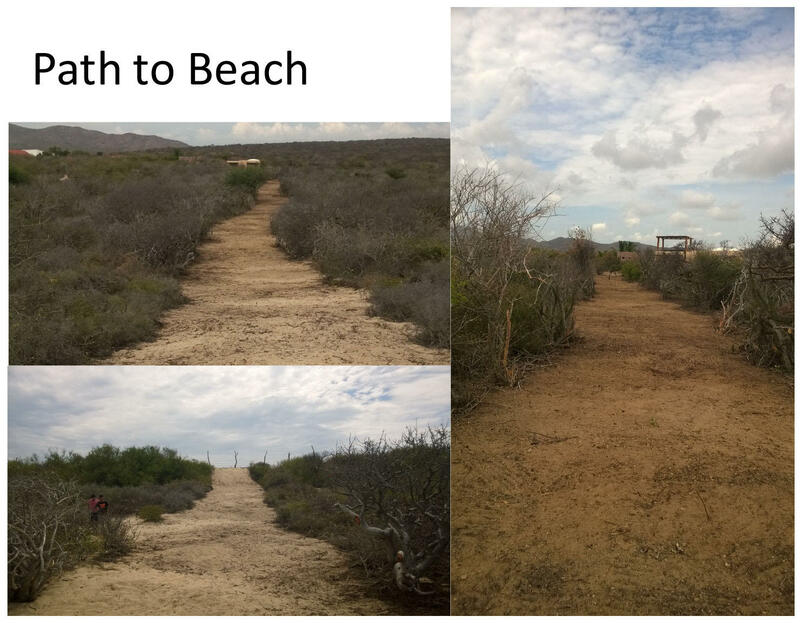 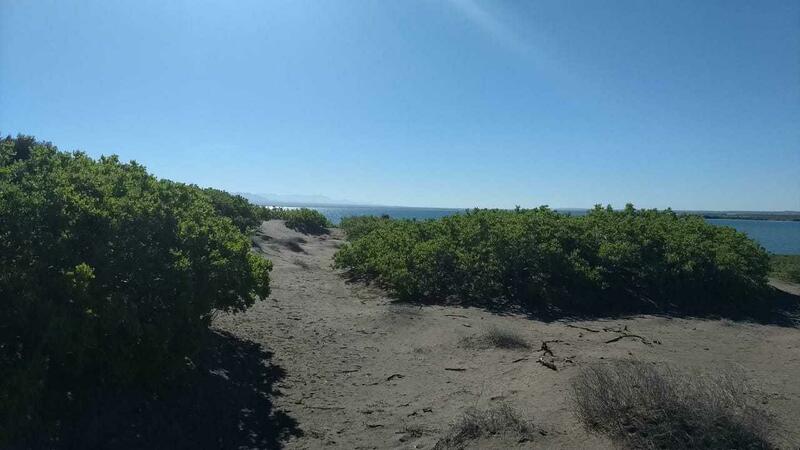 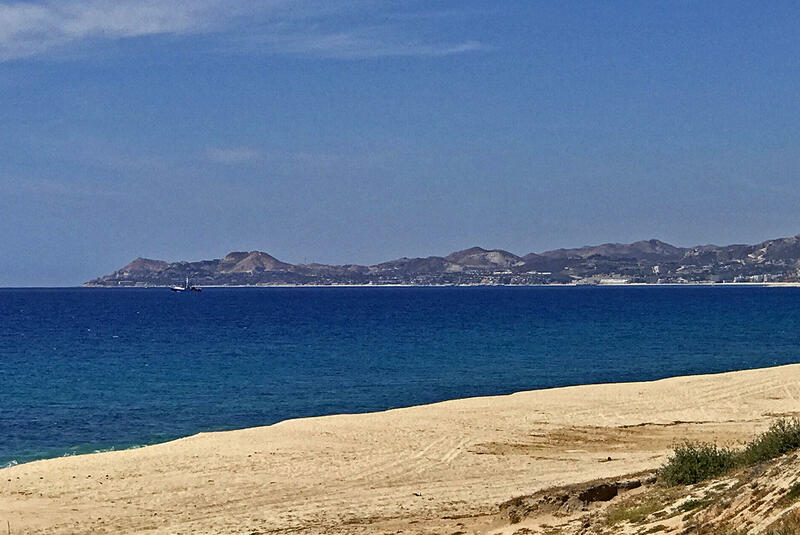 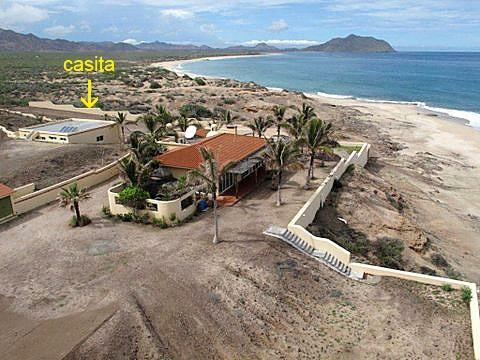 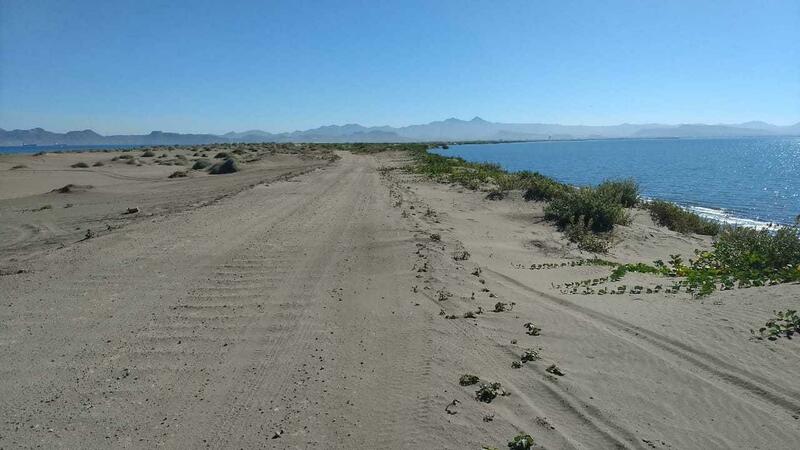 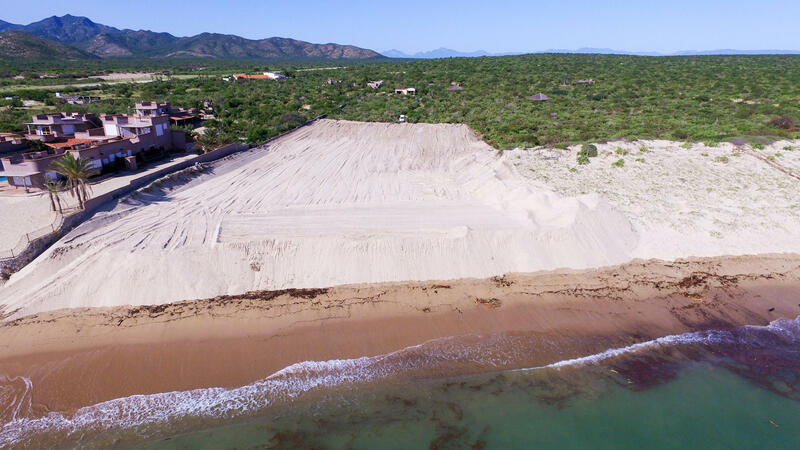 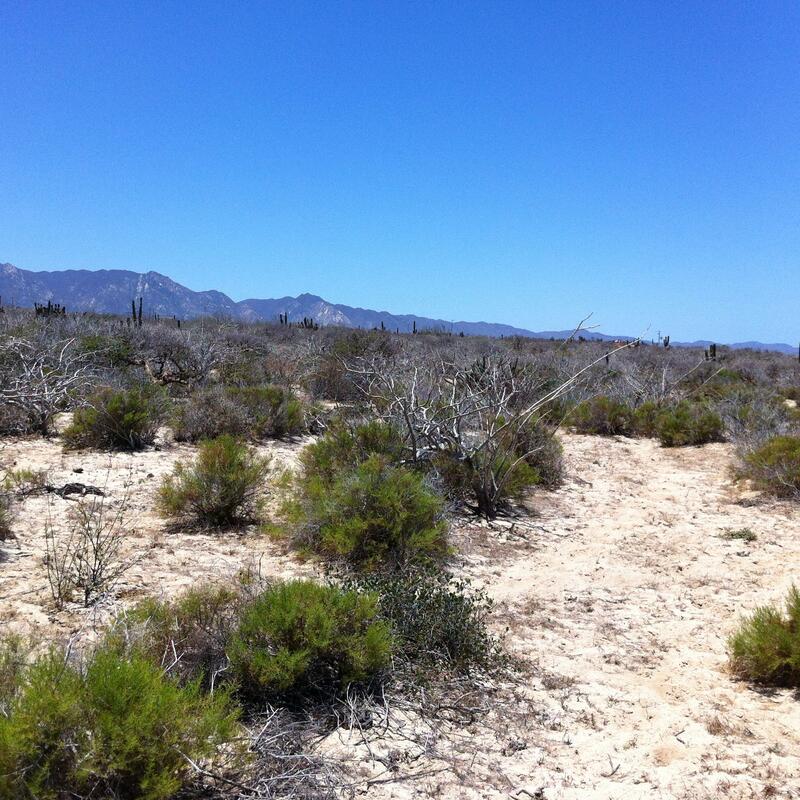 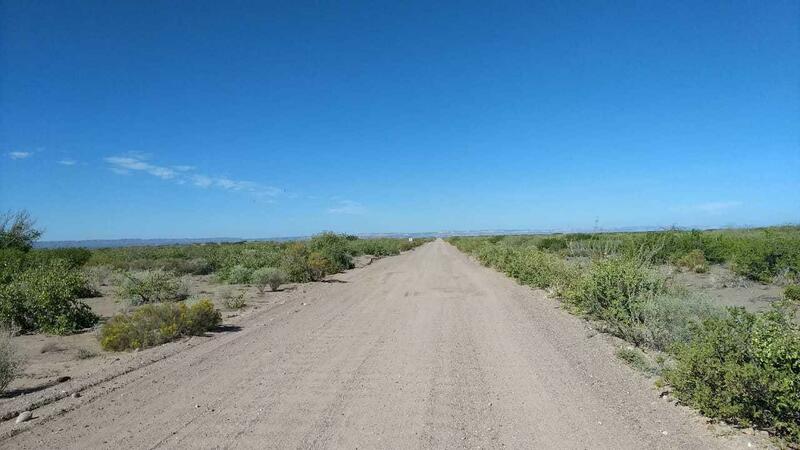 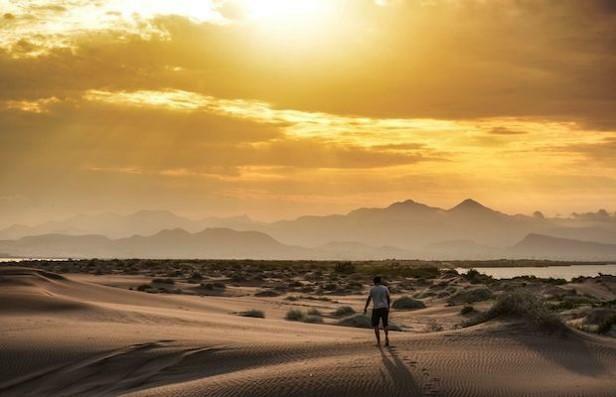 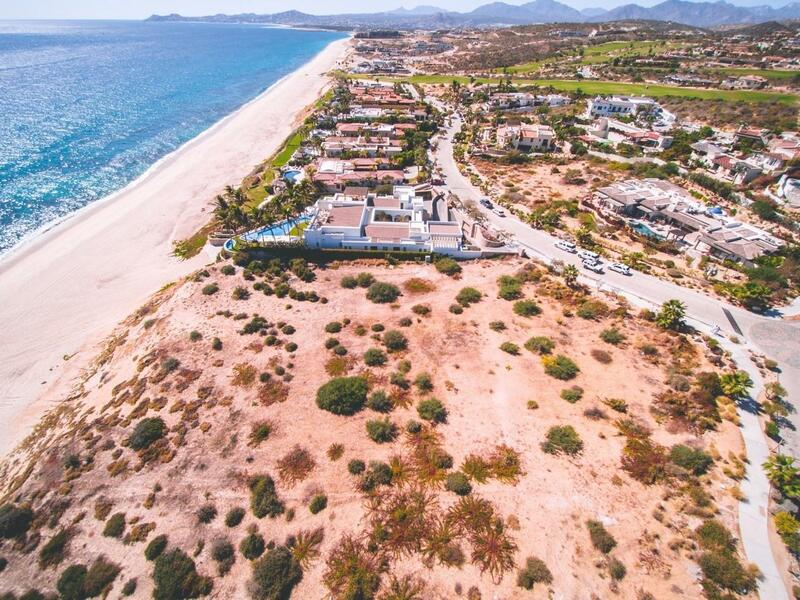 With no obstruction to open Sea of Cortez views, this flat, build-ready, elevated and dune-free property will require almost no pre-construction grooming. 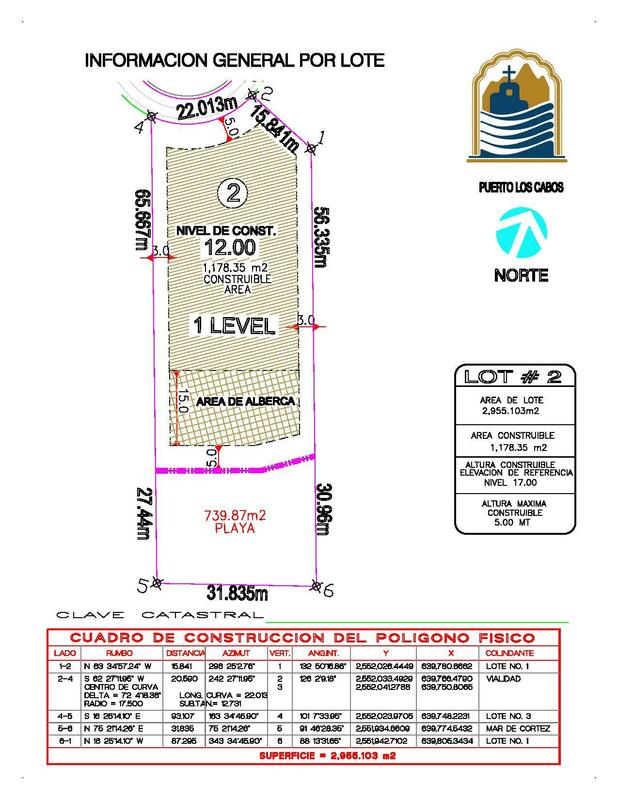 All underground utilities to the site have been completed; phone and internet lines are available as well. 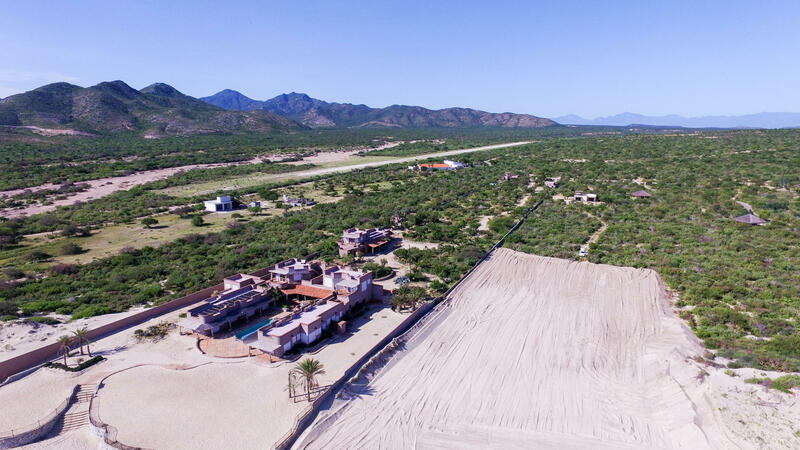 Twenty-four hour guard-gated security, and all fully developed amenities one expects in a world-class destination like this trophy site. 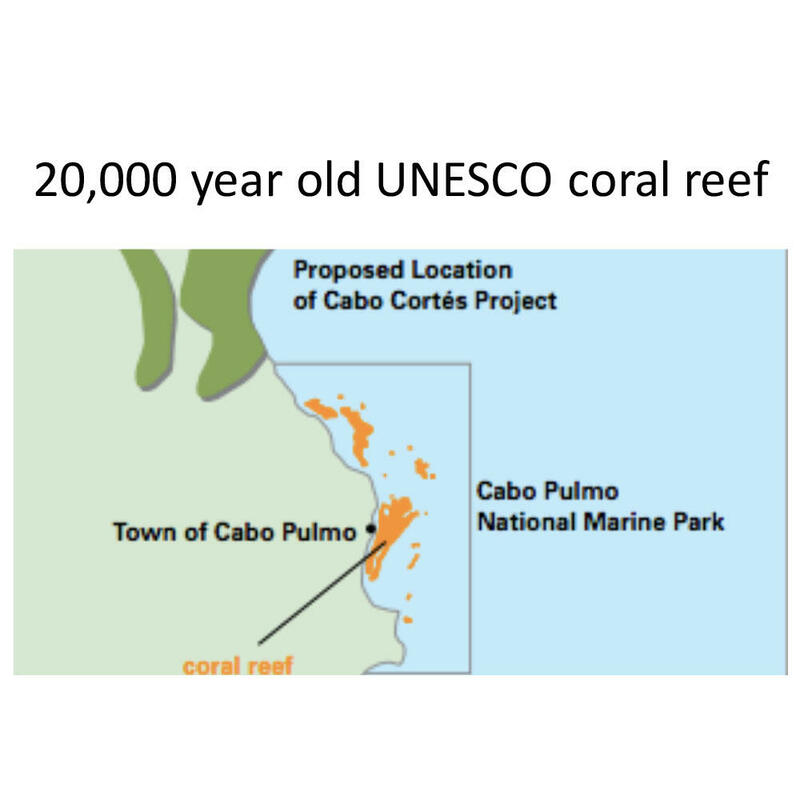 Extraordinarily rare offering. 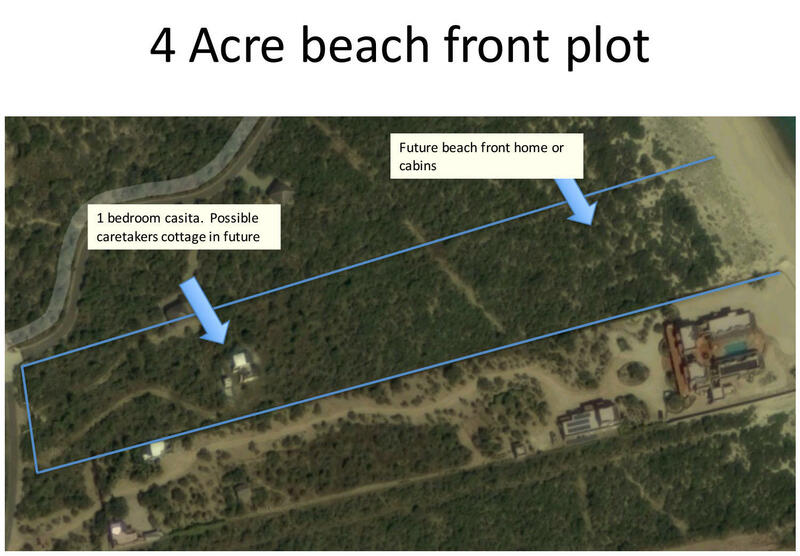 Adjacent plot may be purchased in combination, or separately. 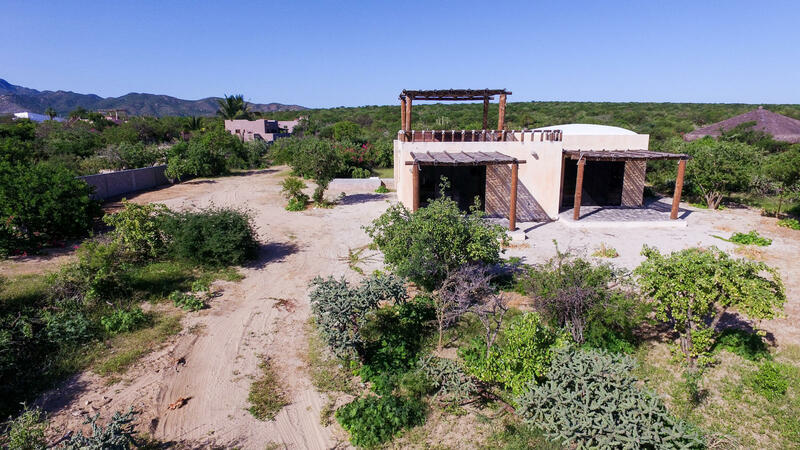 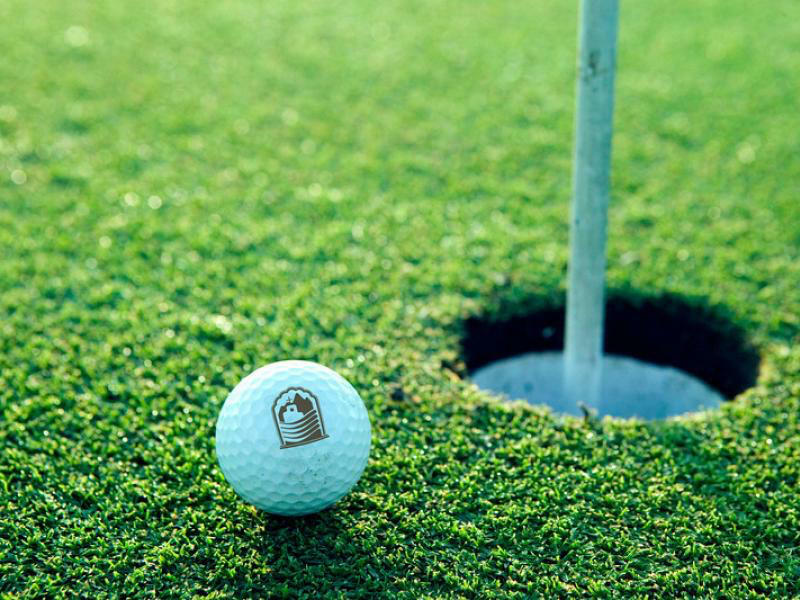 Ideal for build-out of a large family compound or corporate retreat. 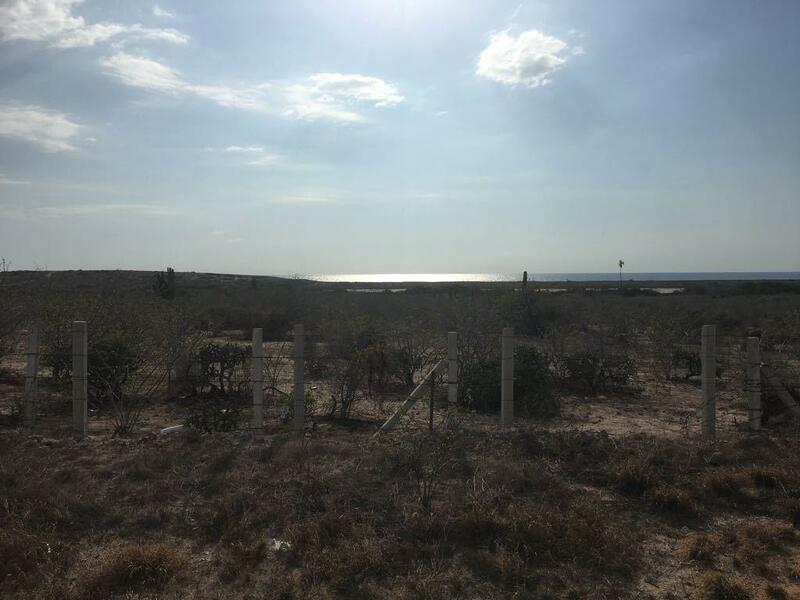 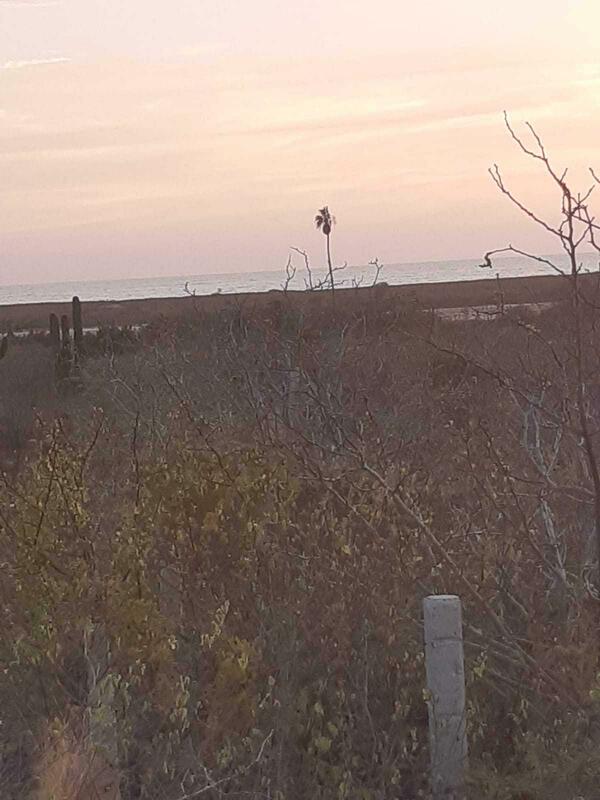 Description: This diamond in the rough situated 2 miles from a landing strip offers endless opportunities beginning with an oceanfront subdivision. 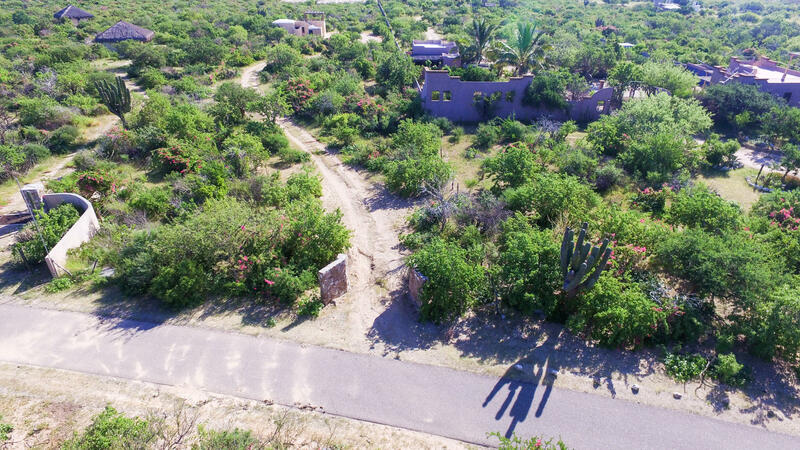 With paved access and CFE this gentle sloping property offers views from all locations. 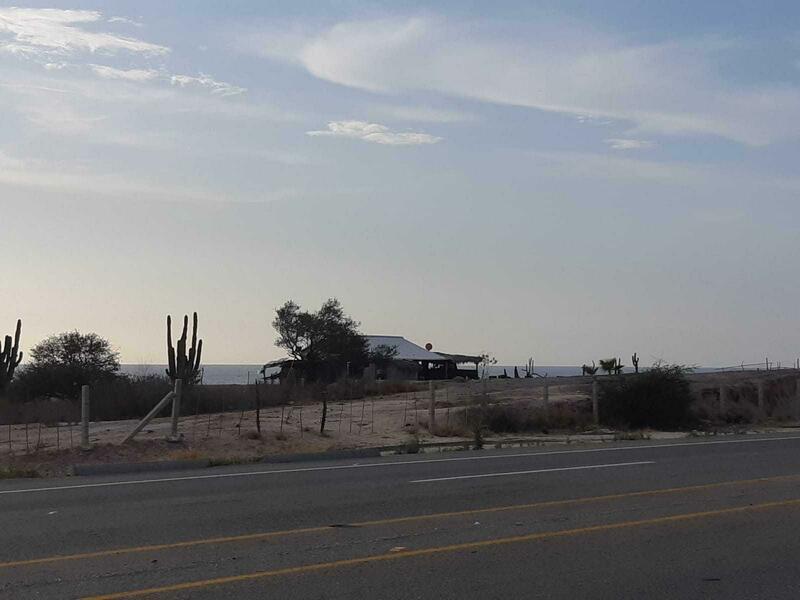 The tranquility of the village El Cardonal and convenience to Los Barrilles make this a winner. 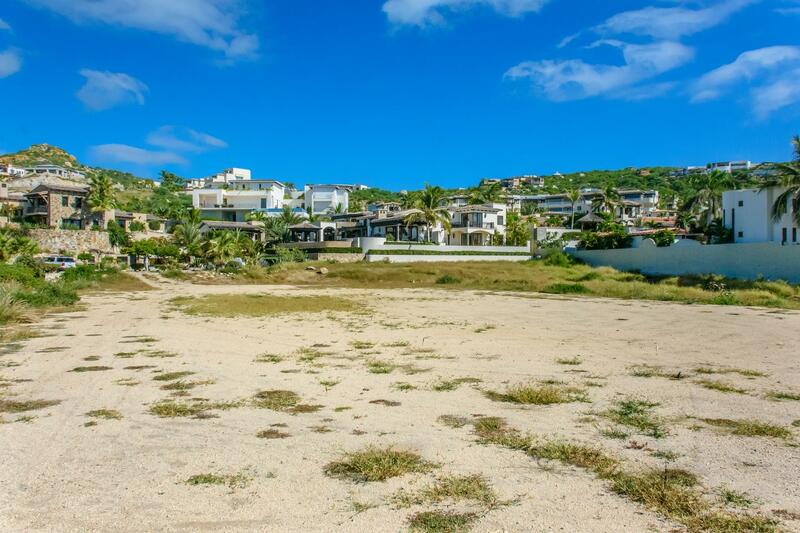 Priced to get attention, the sellers simply want it sold. 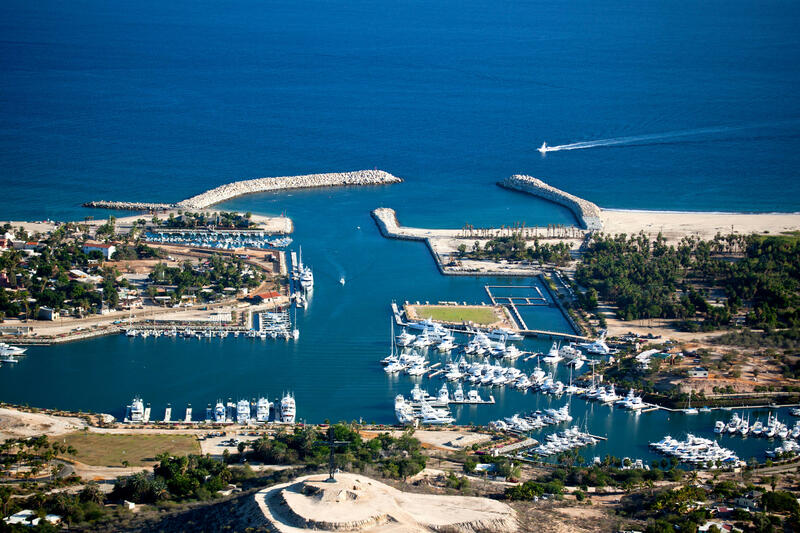 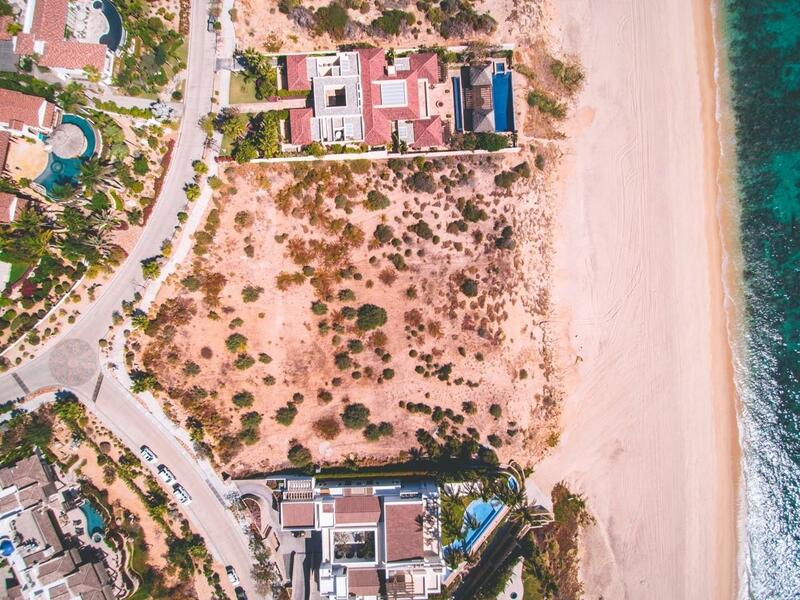 If you are serious about waterfront, the over 1200 feet of waterfront allow space for a hotel, condominiums, subdivision of homes or small hobby ranches. Description: A rare opportunity! 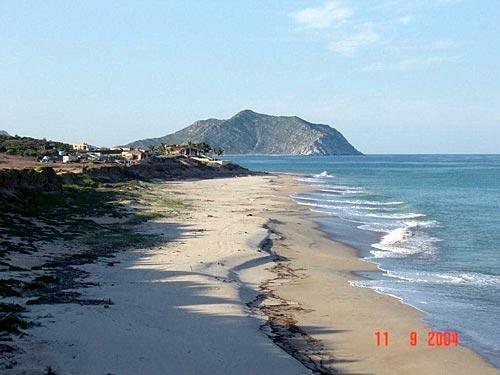 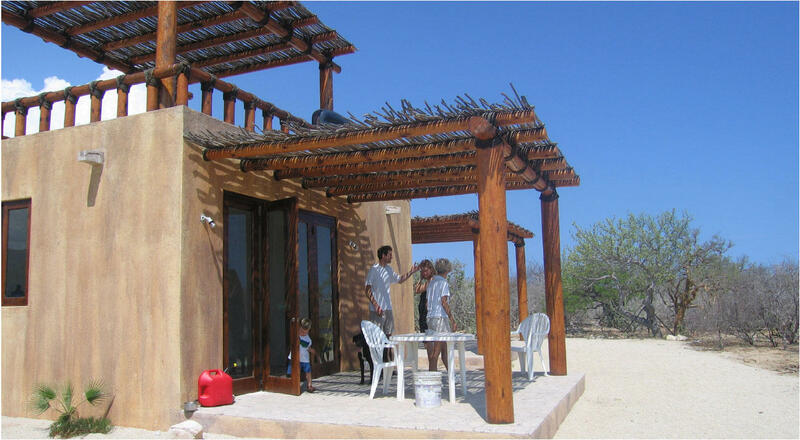 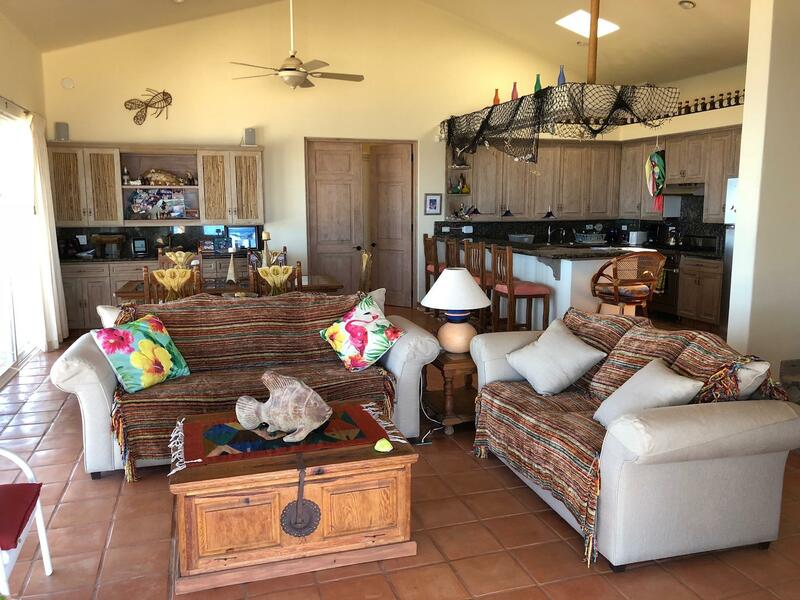 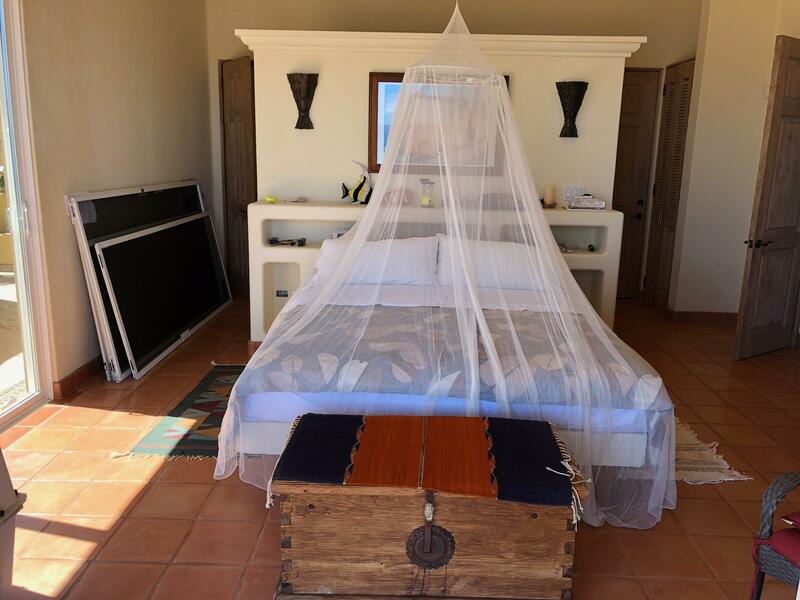 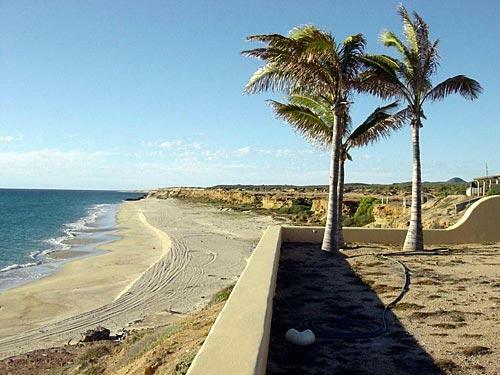 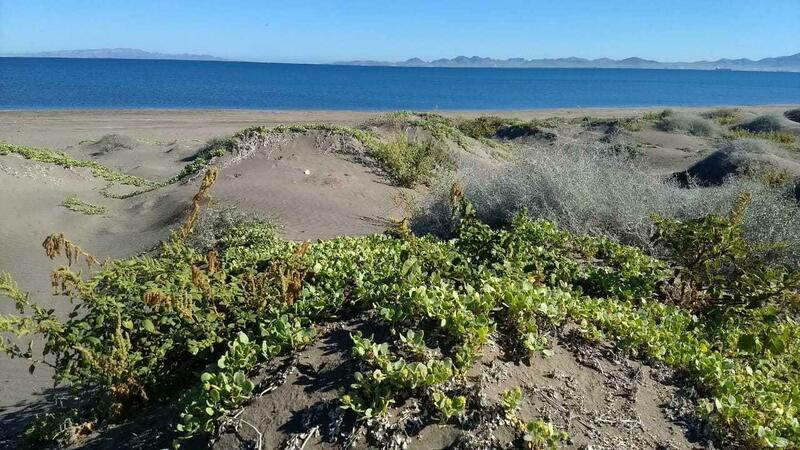 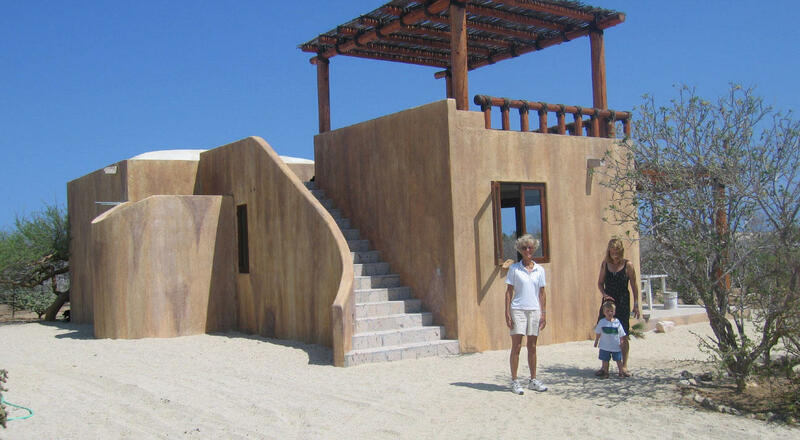 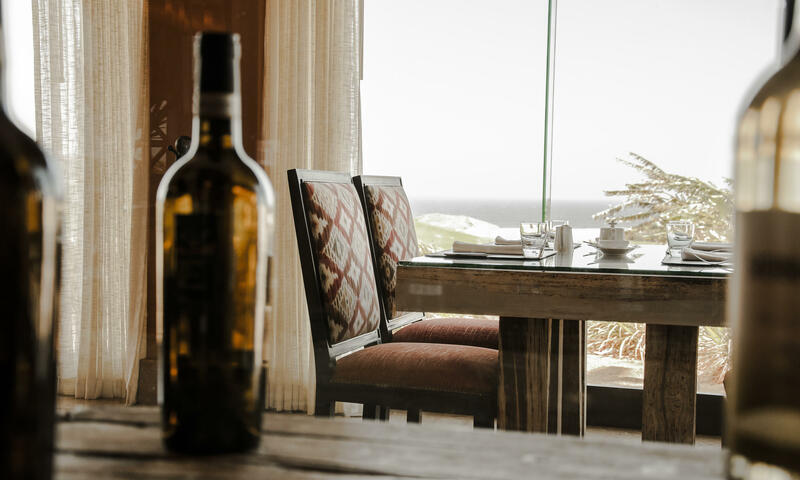 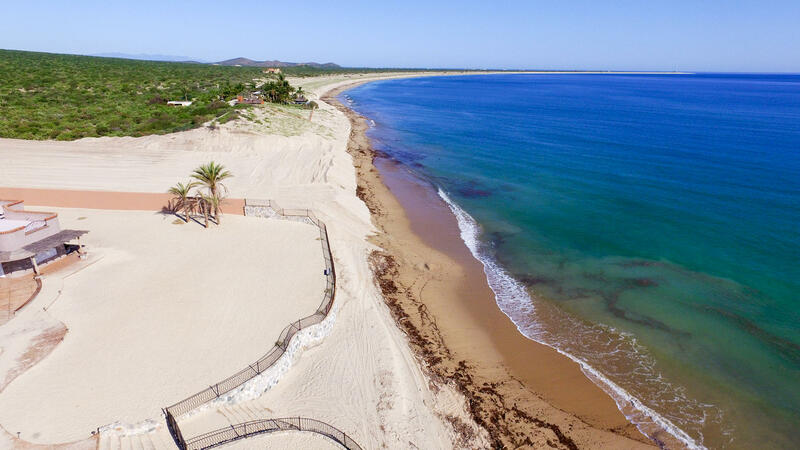 Beachfront Living at El Rincon, one of the most beautiful locations on the East Cape just South of La Ribera at the gateway to the Cabo Pulmo Marine Park. 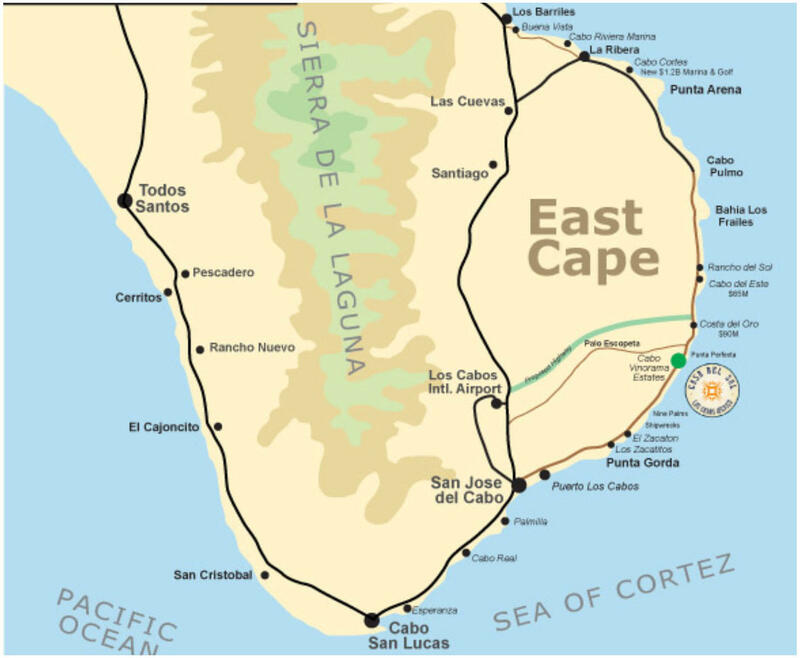 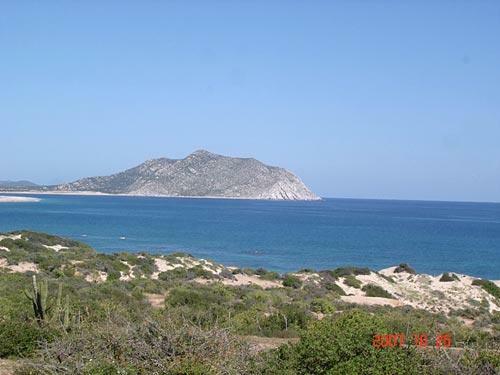 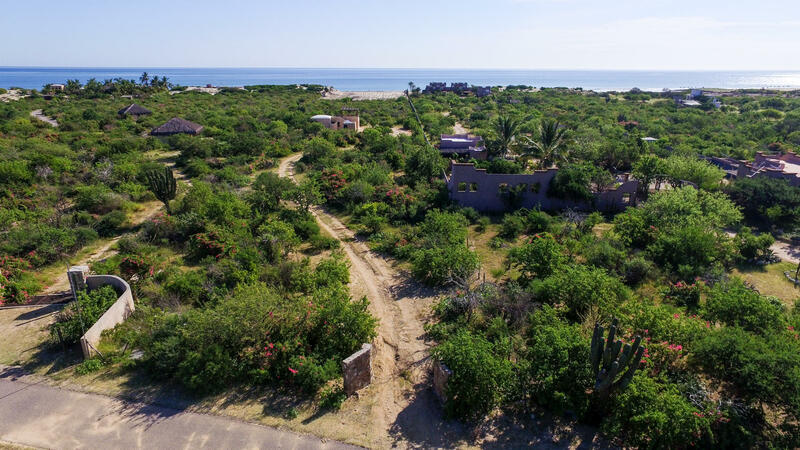 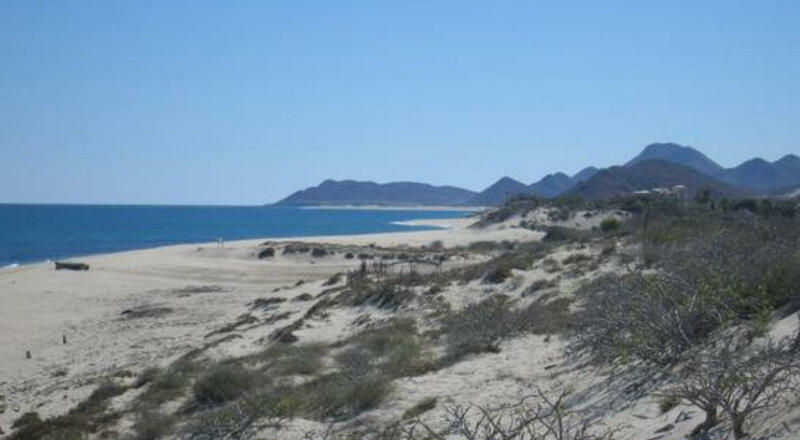 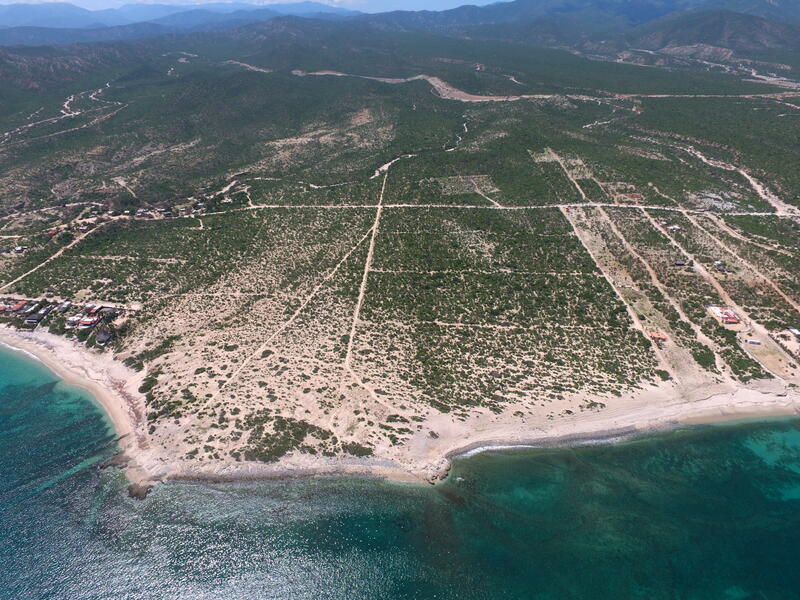 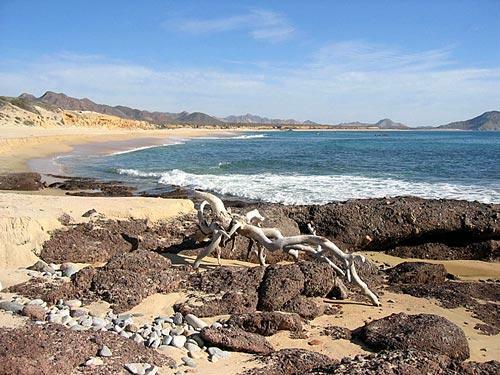 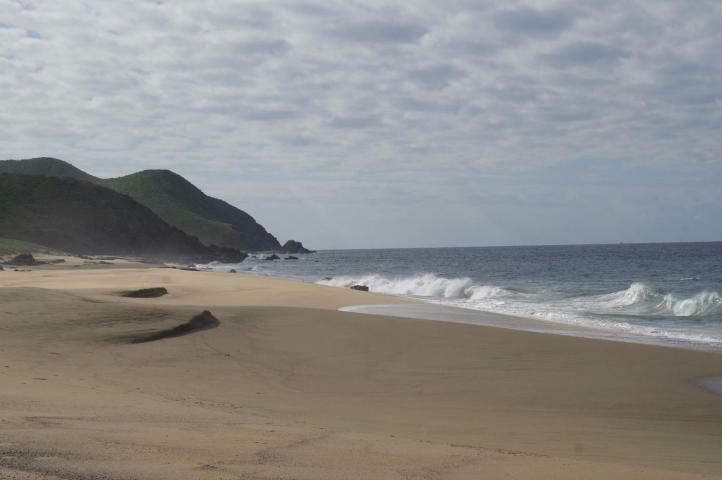 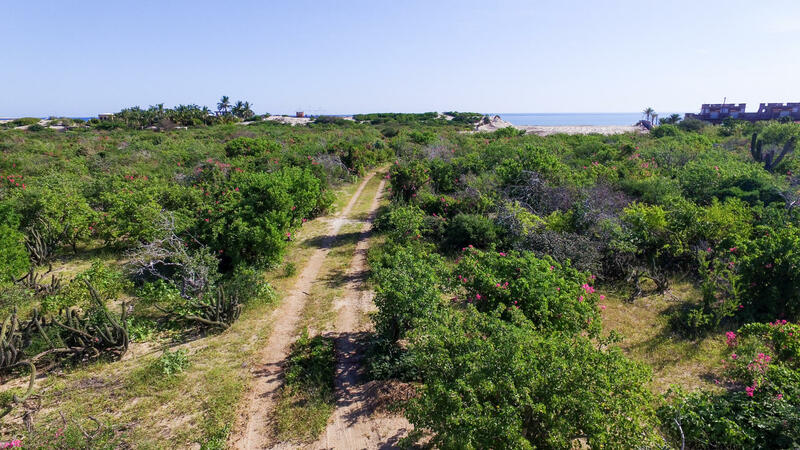 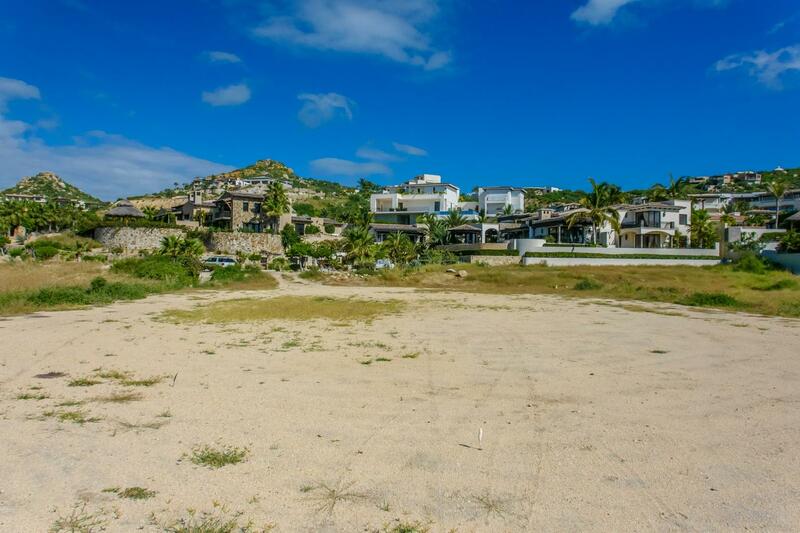 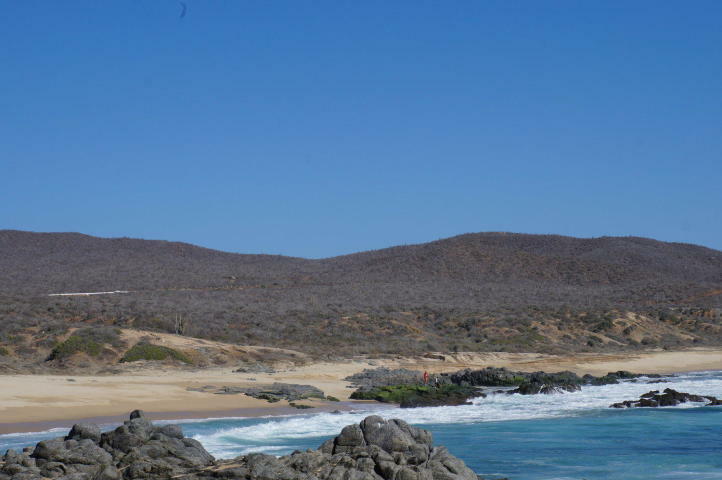 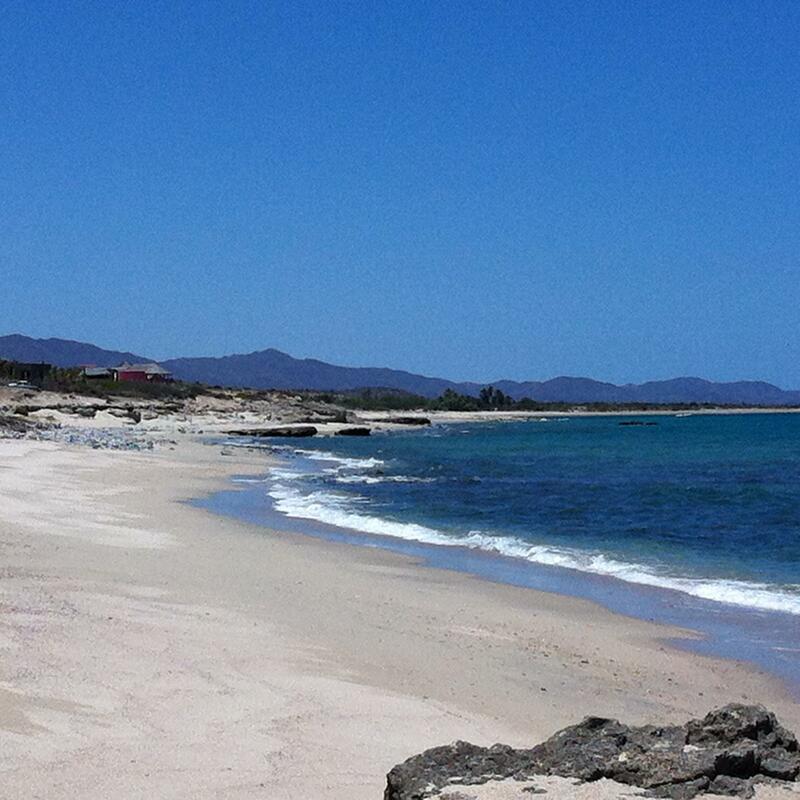 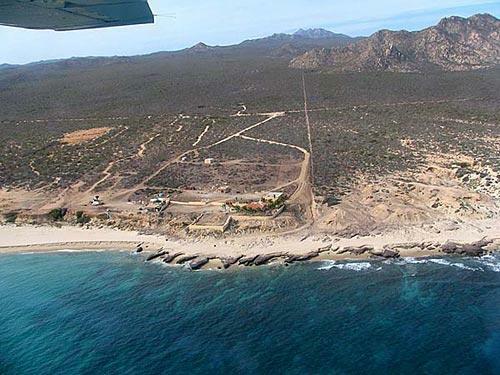 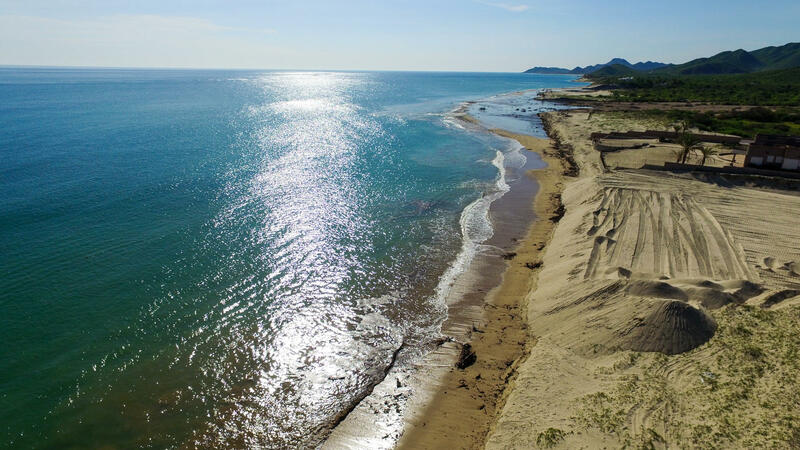 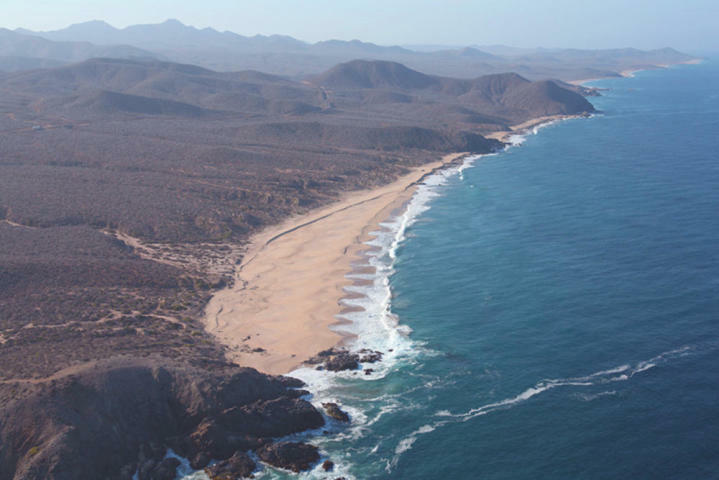 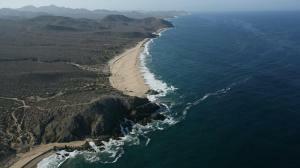 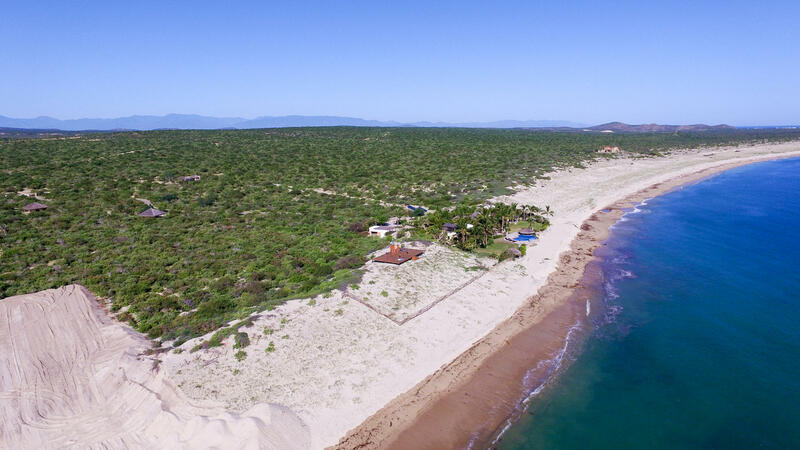 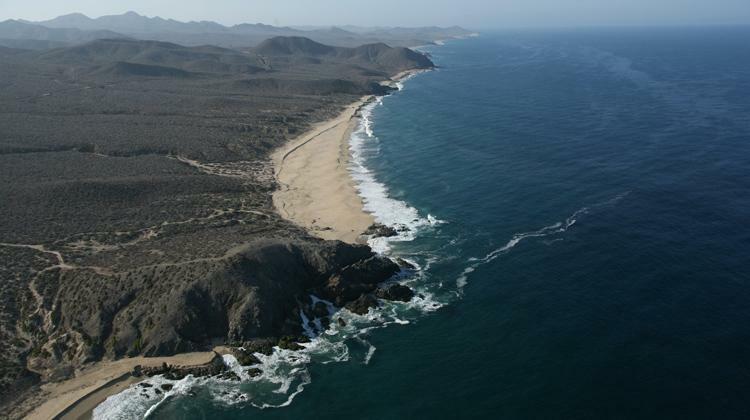 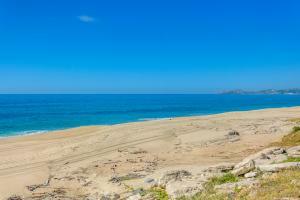 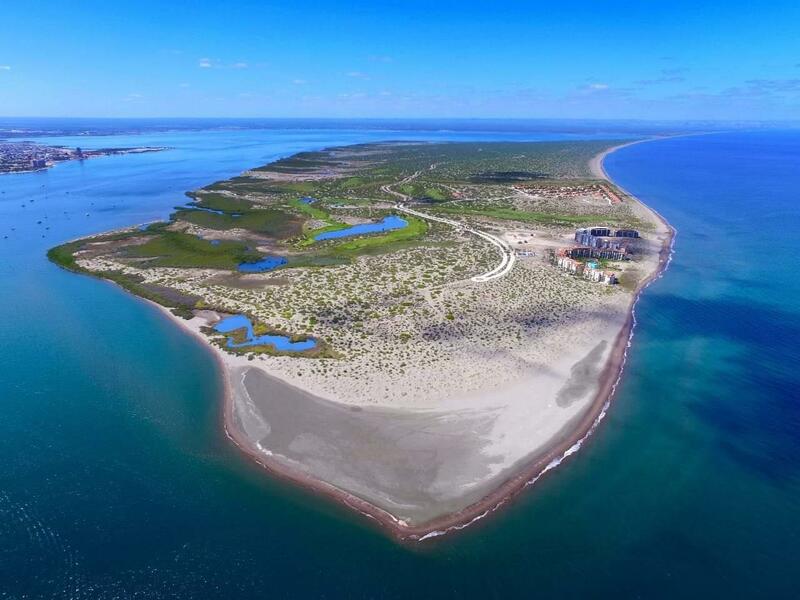 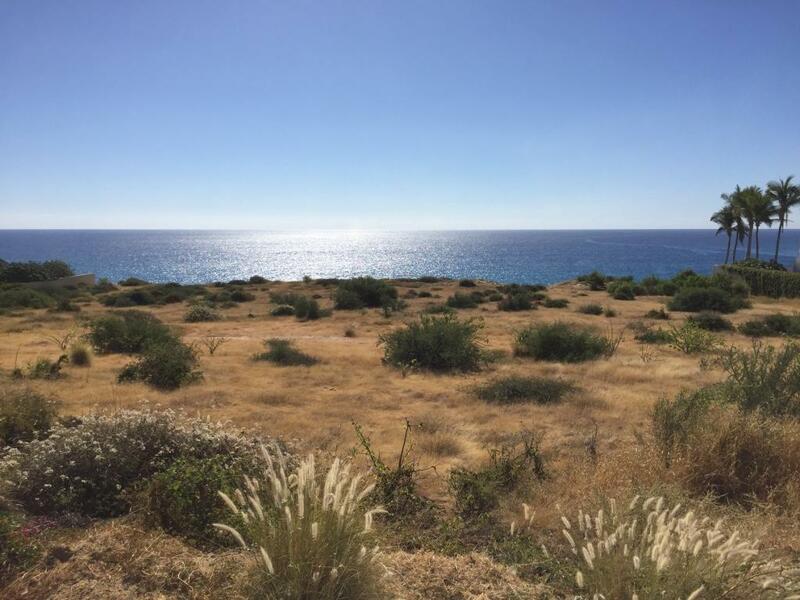 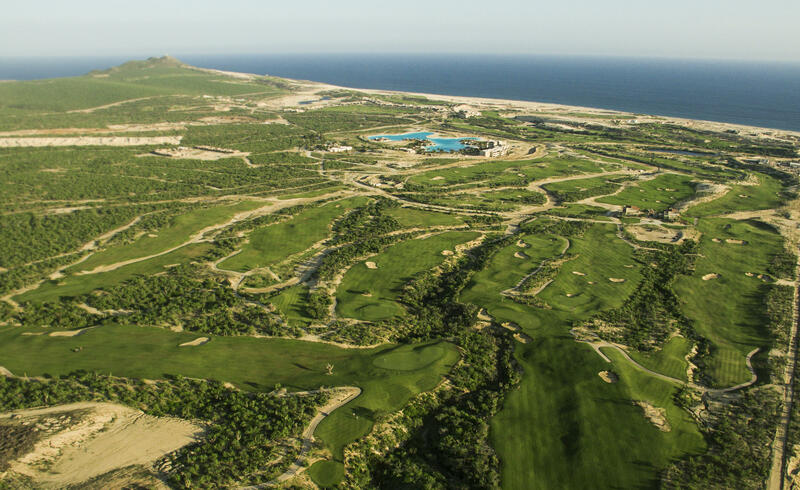 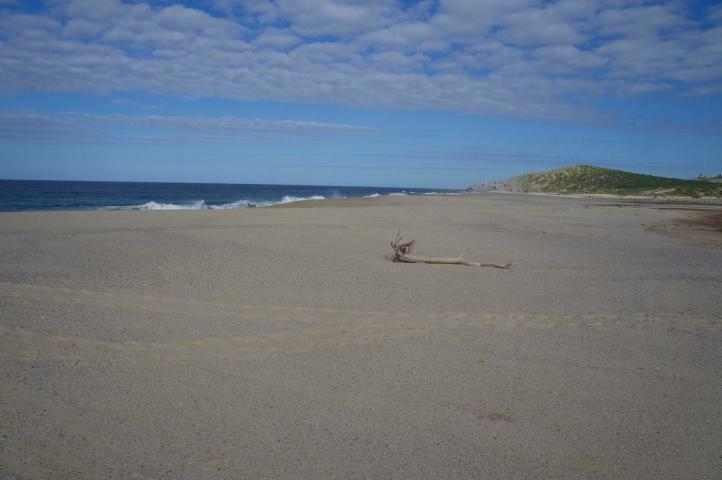 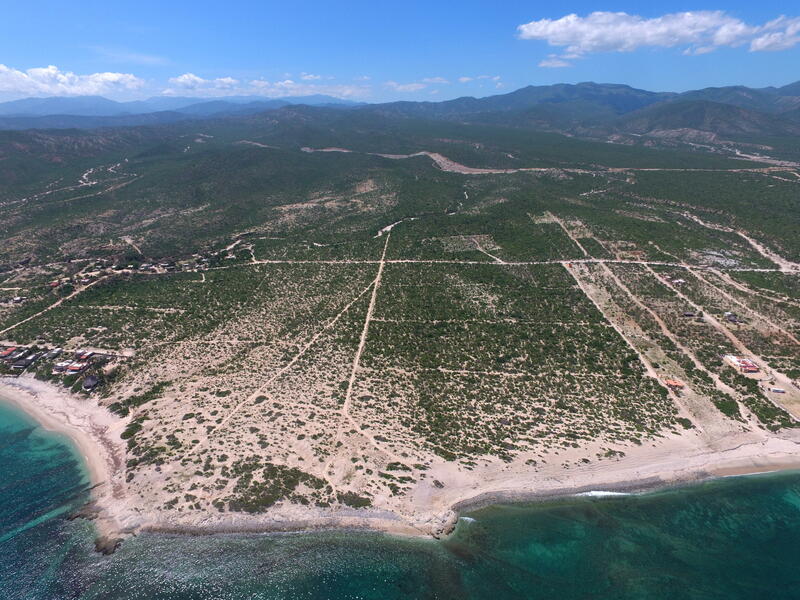 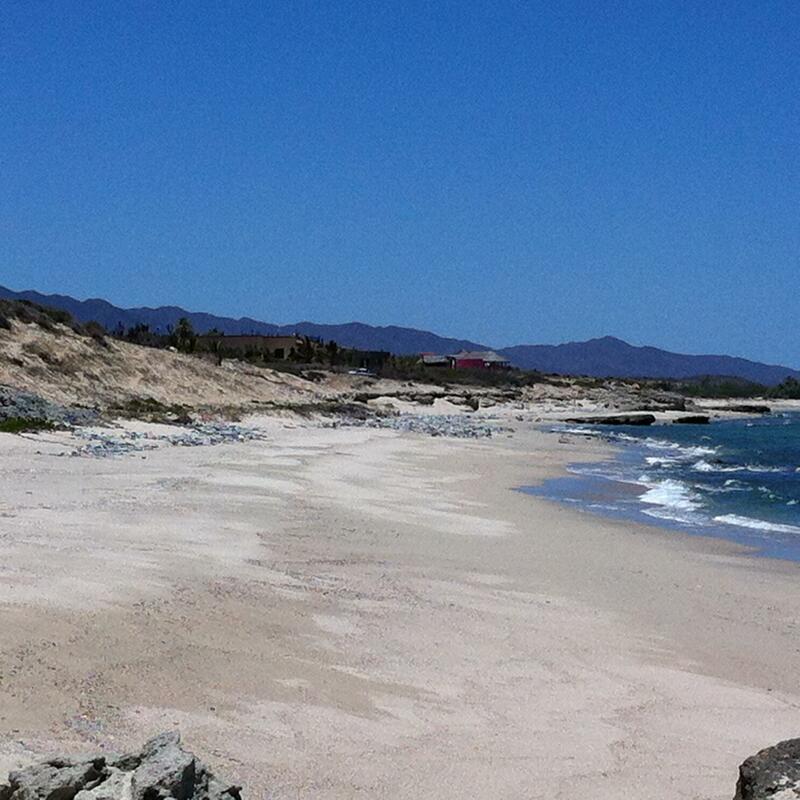 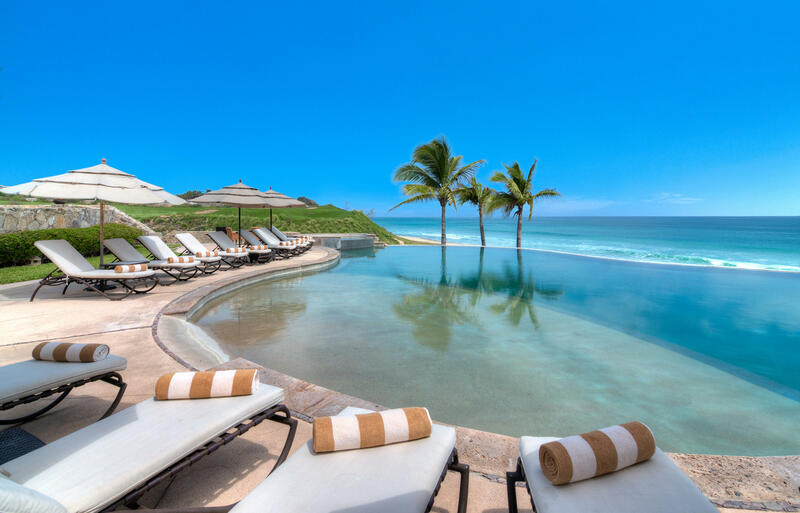 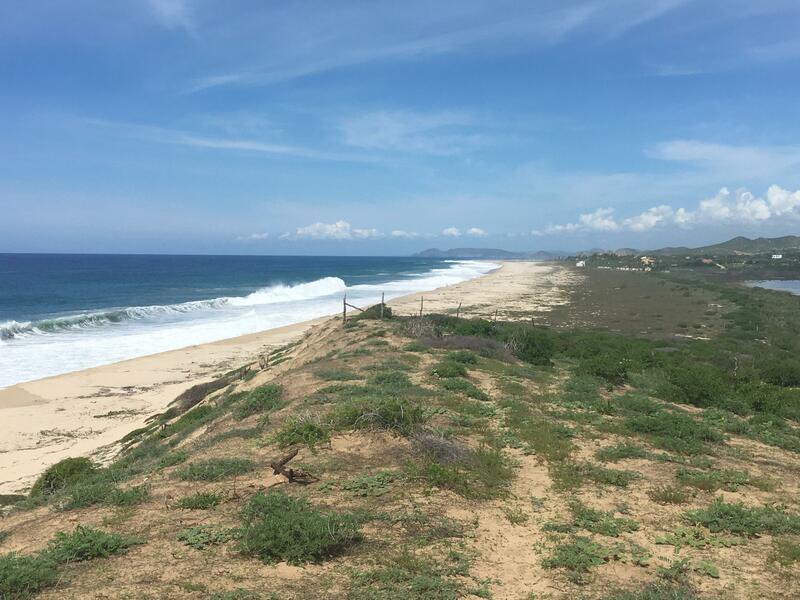 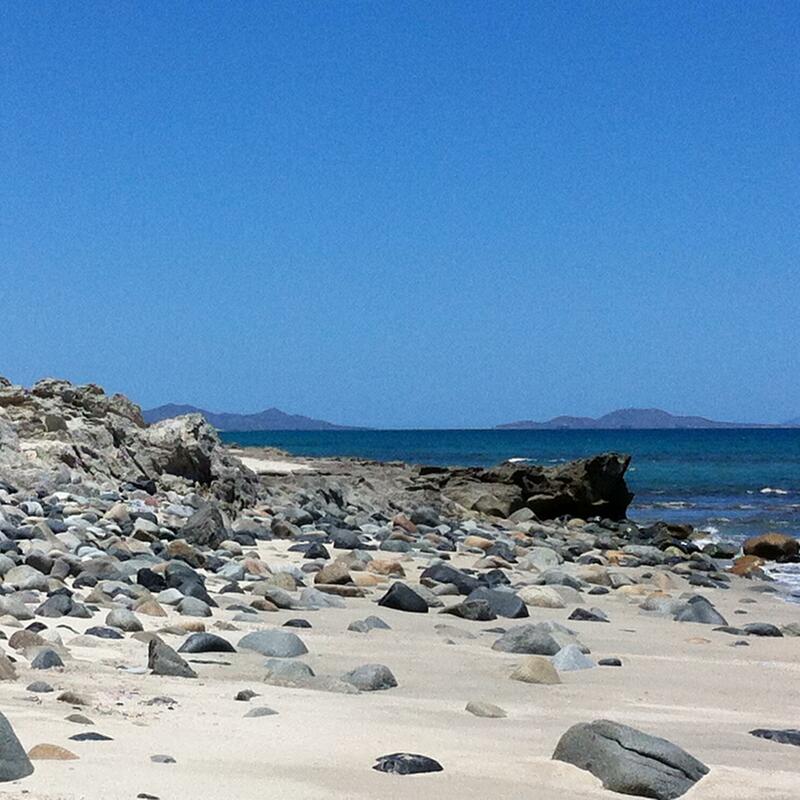 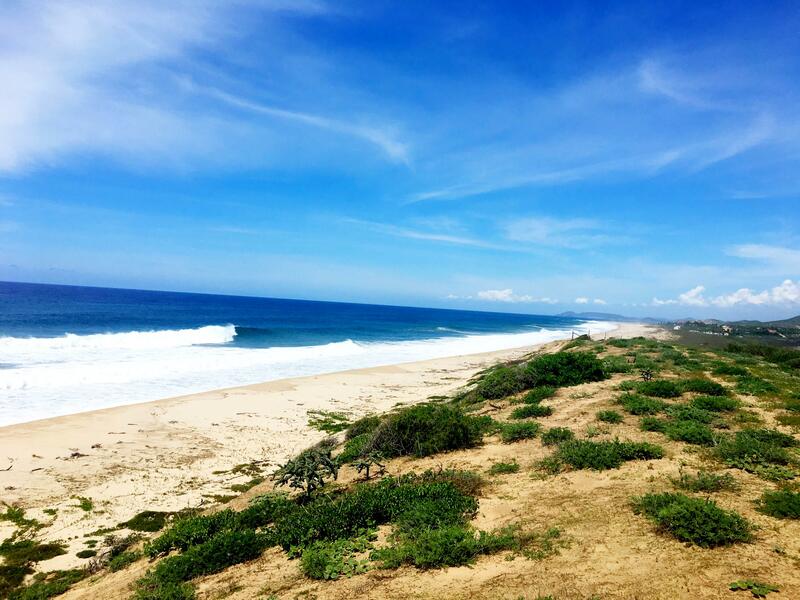 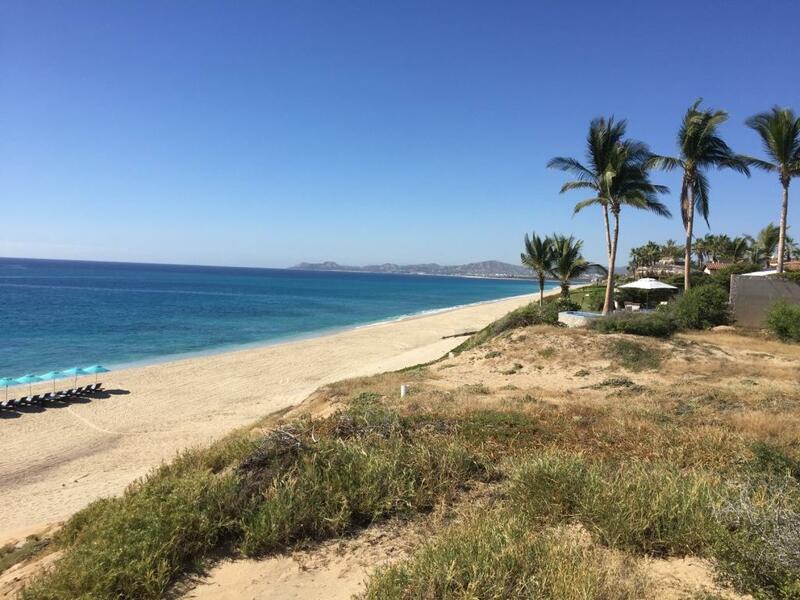 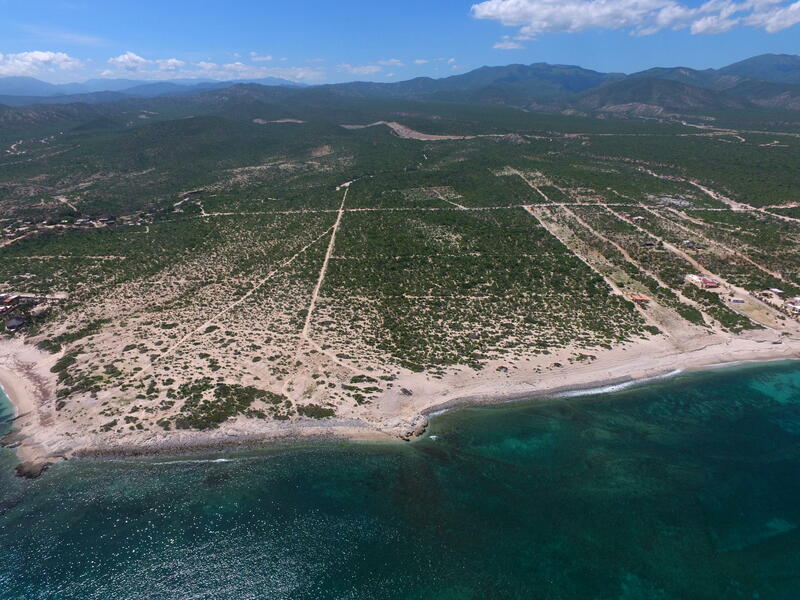 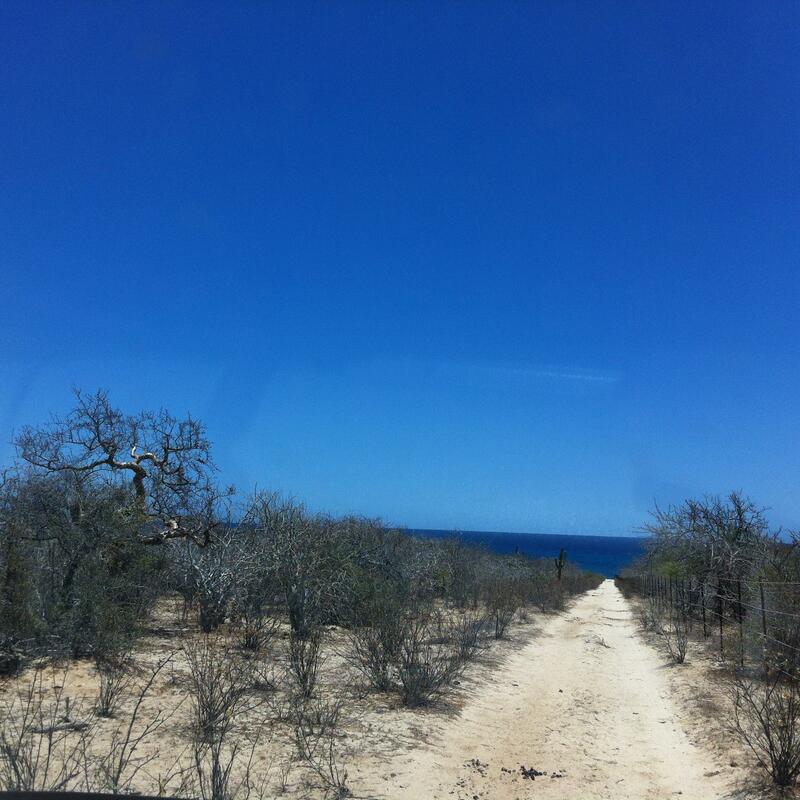 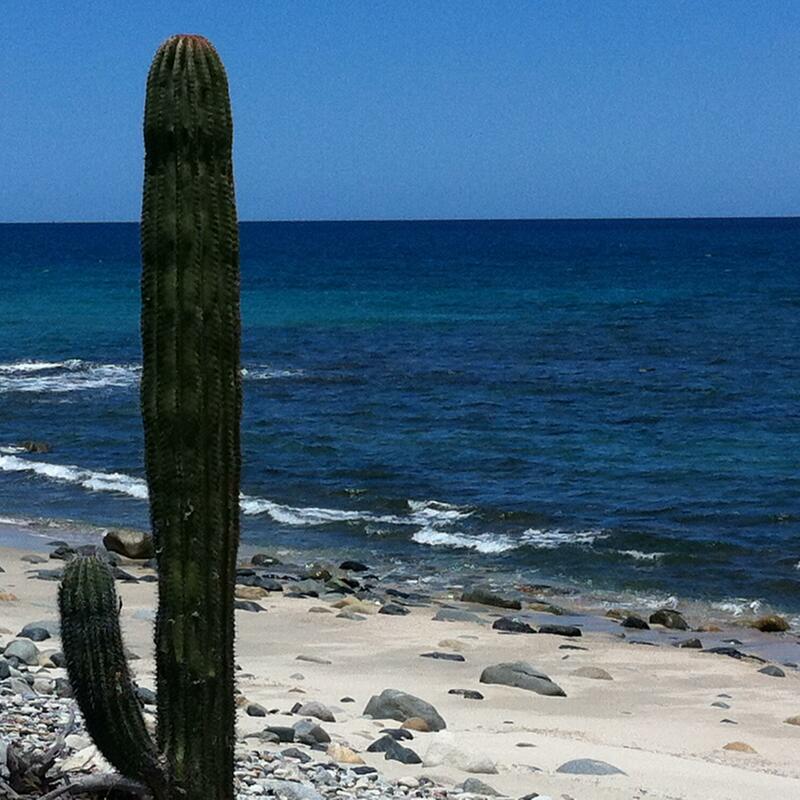 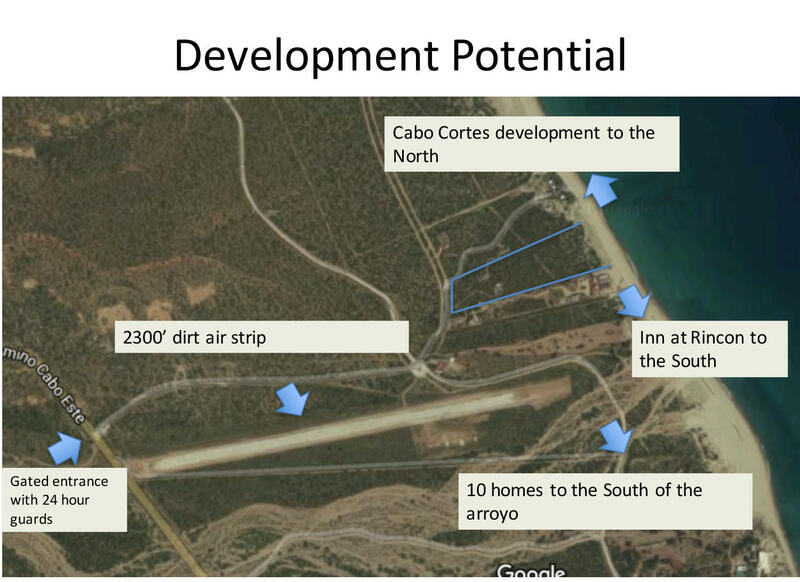 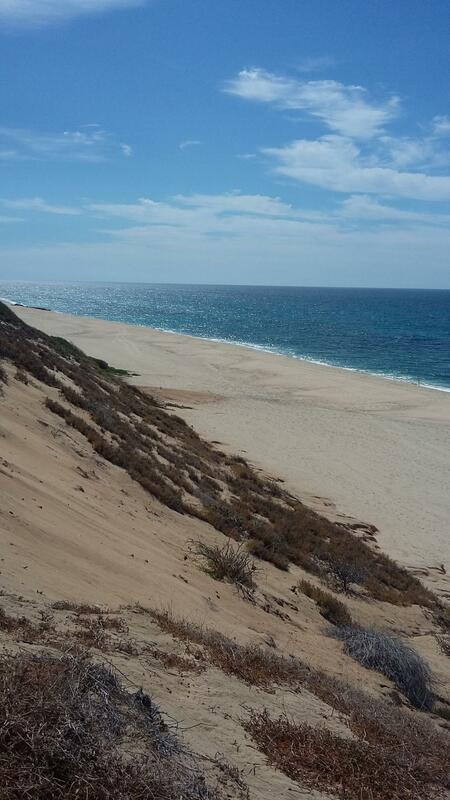 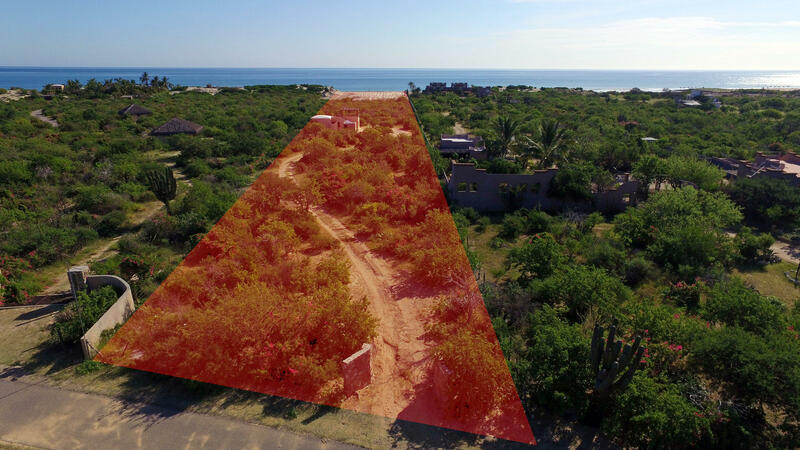 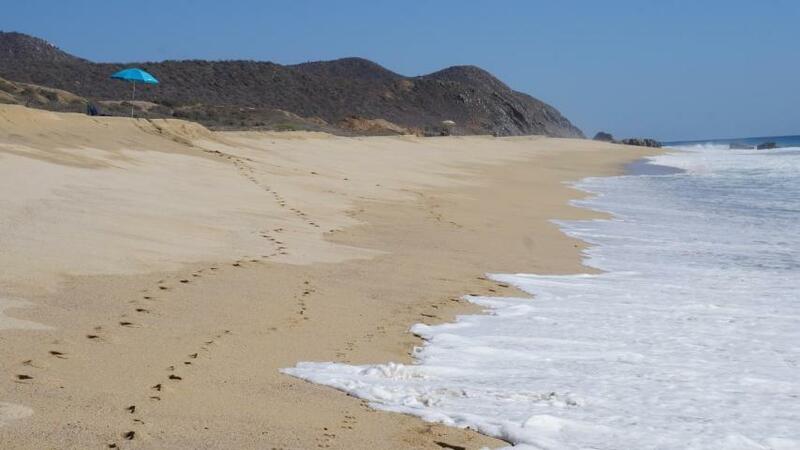 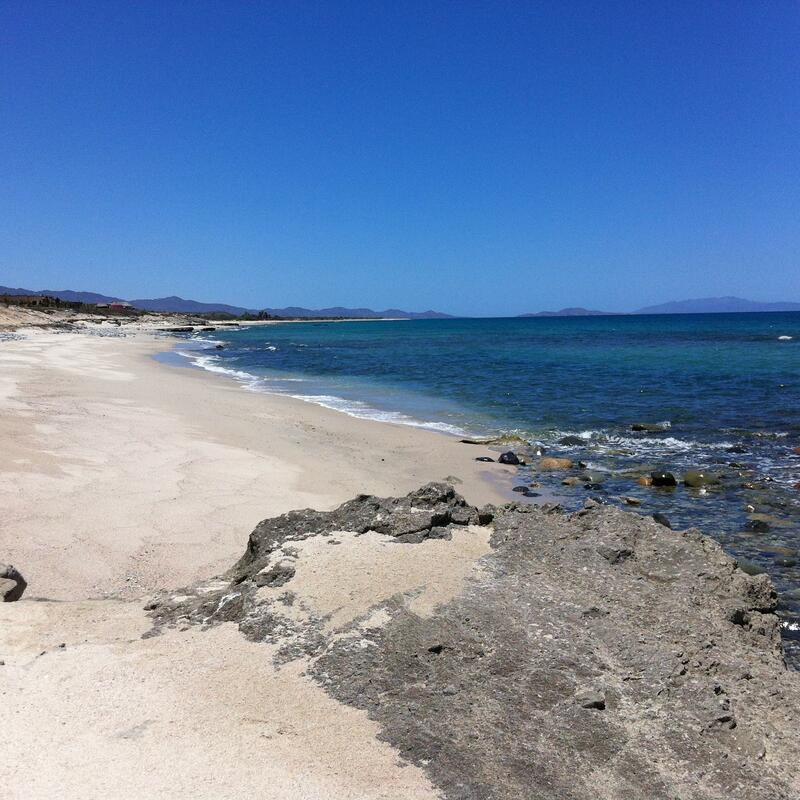 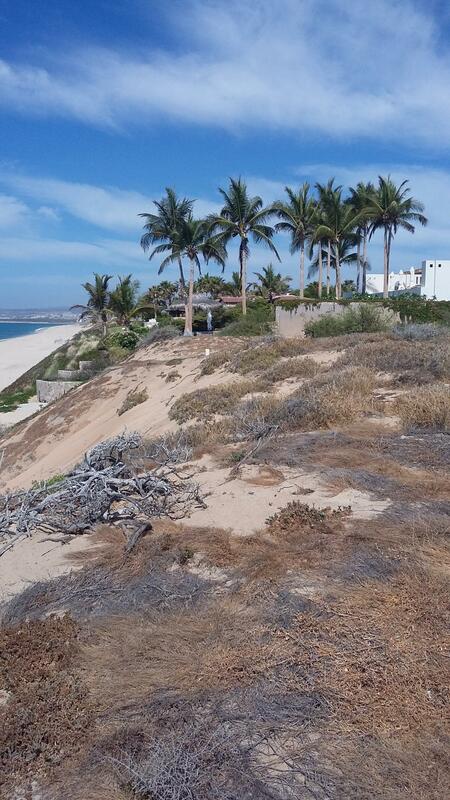 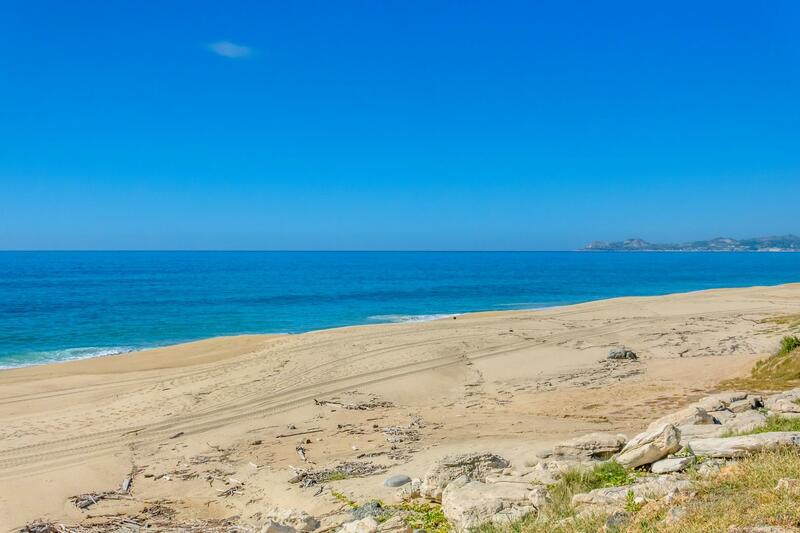 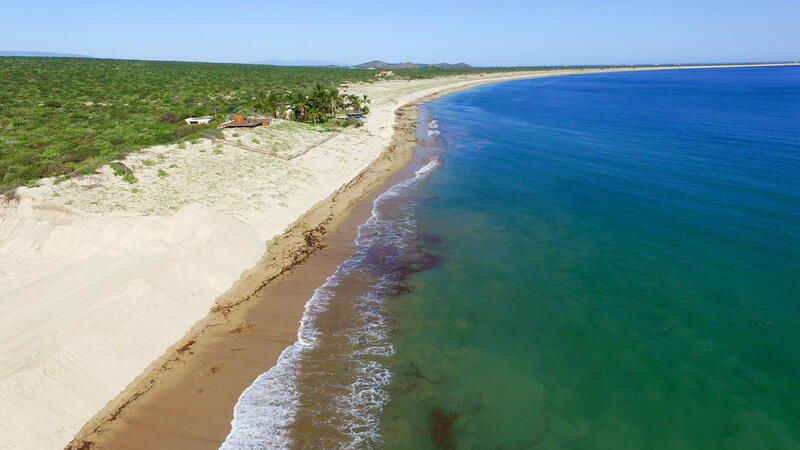 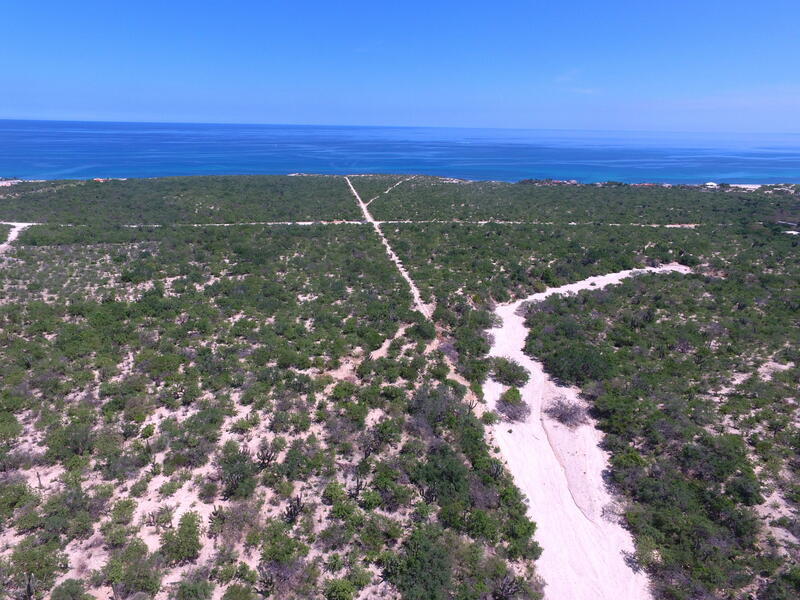 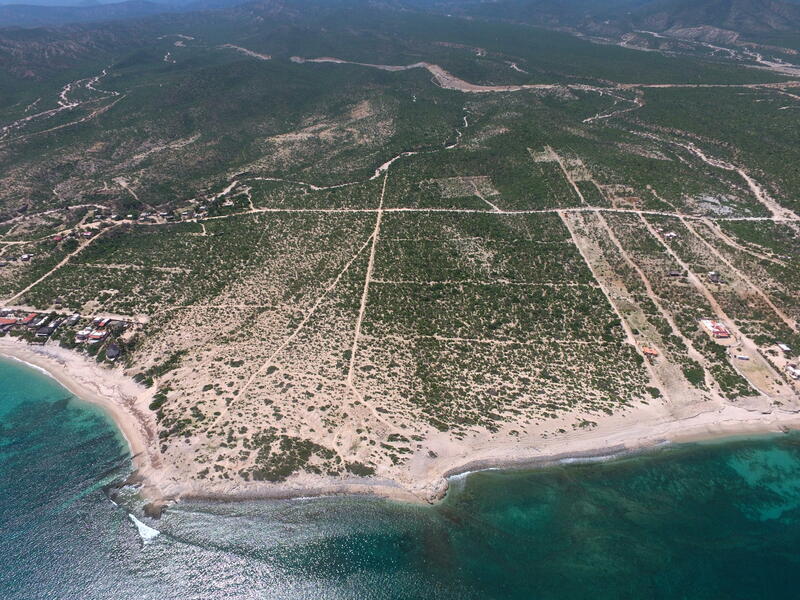 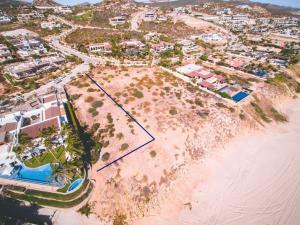 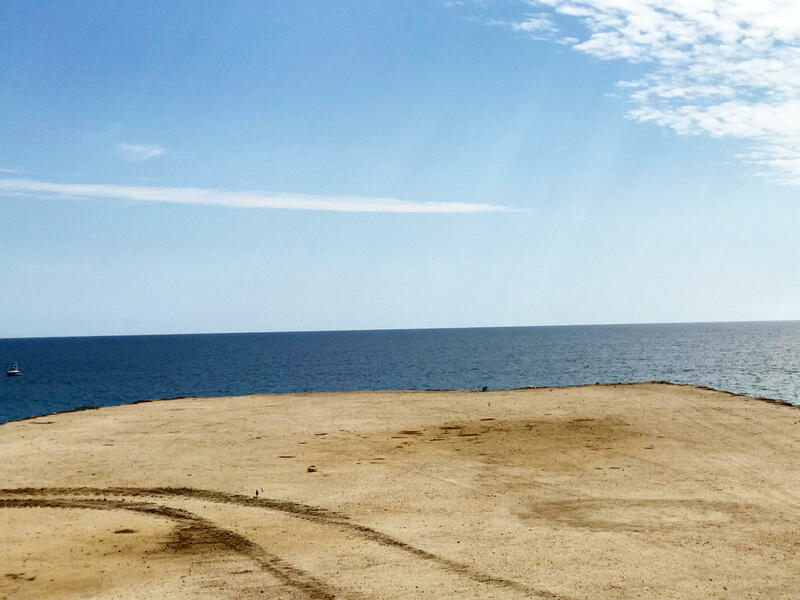 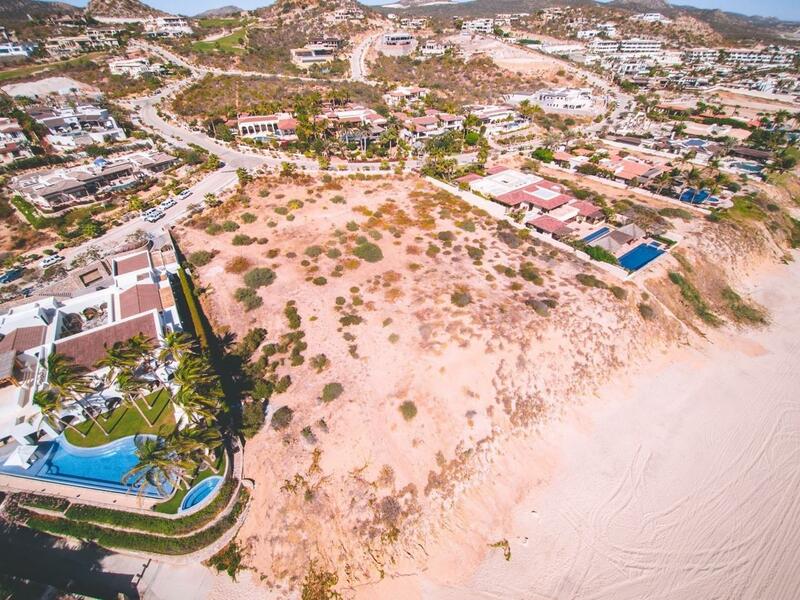 This 4+ acre (1.69 hectares) beach front property is one of only four private properties within the huge El Rincon property formally known as Cabo Cortez. 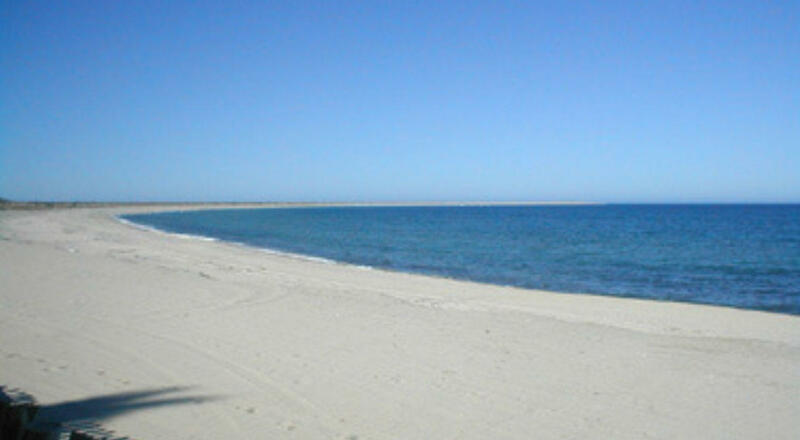 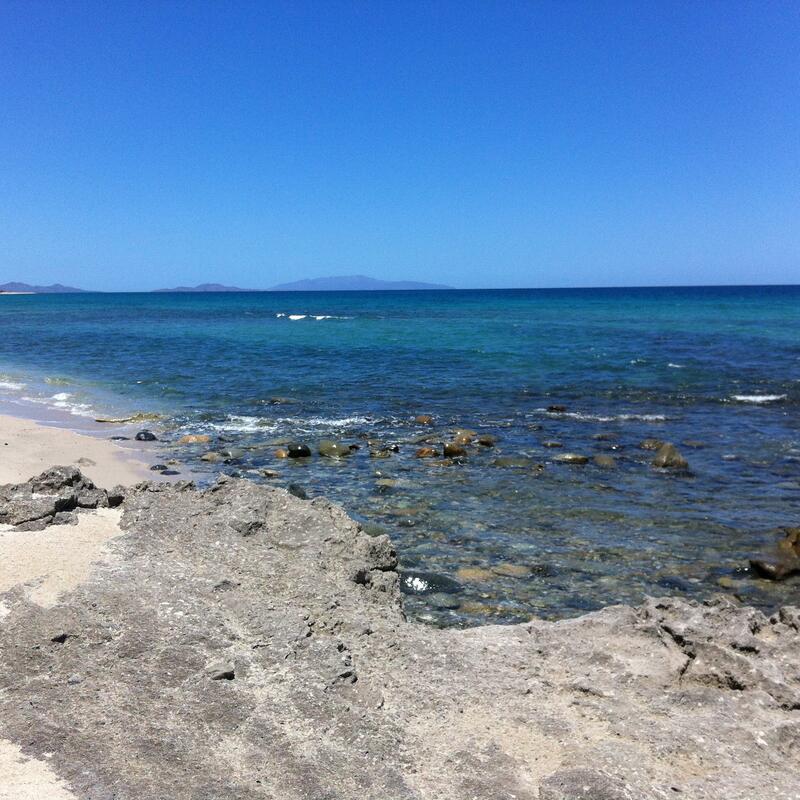 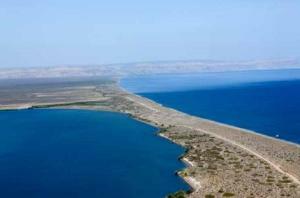 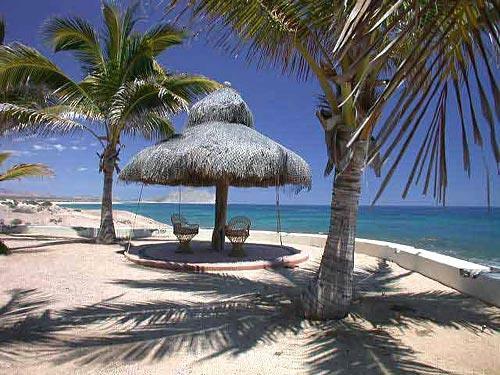 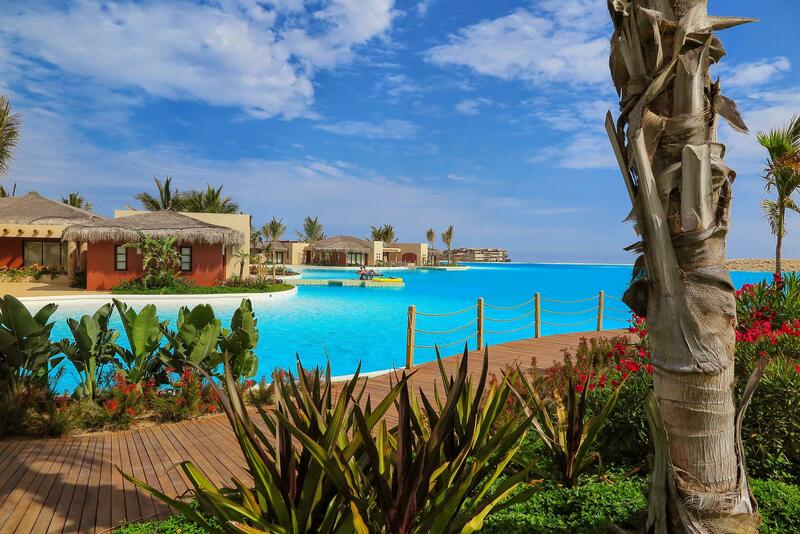 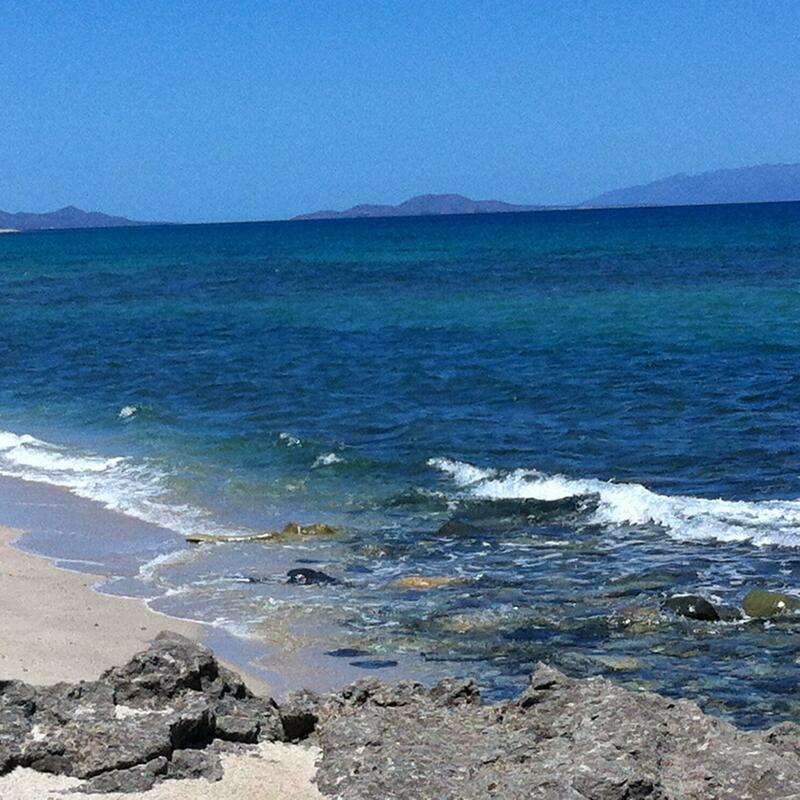 Enjoy 68 meters of beach frontage (221 feet) with sandy swimmable beaches stretching for miles. 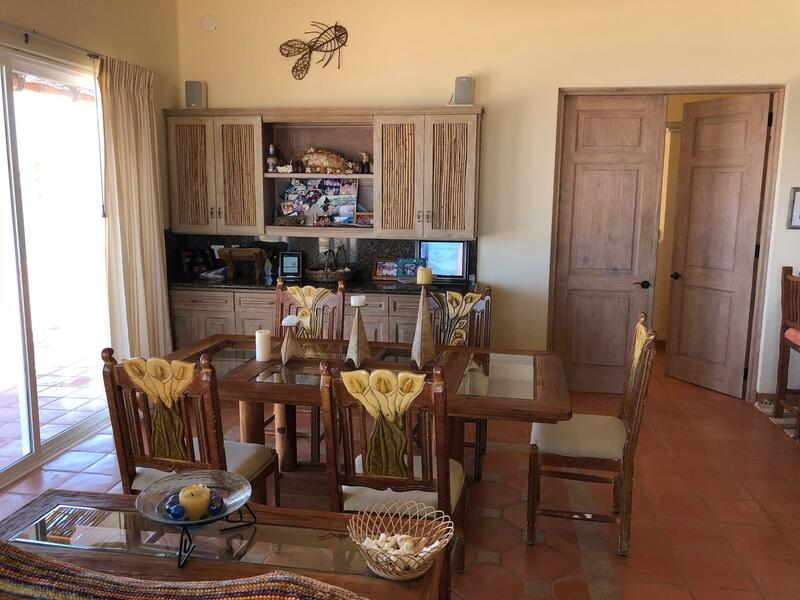 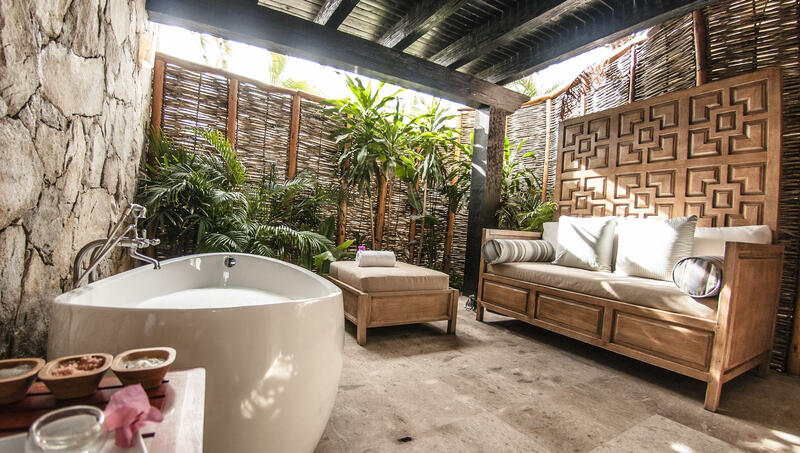 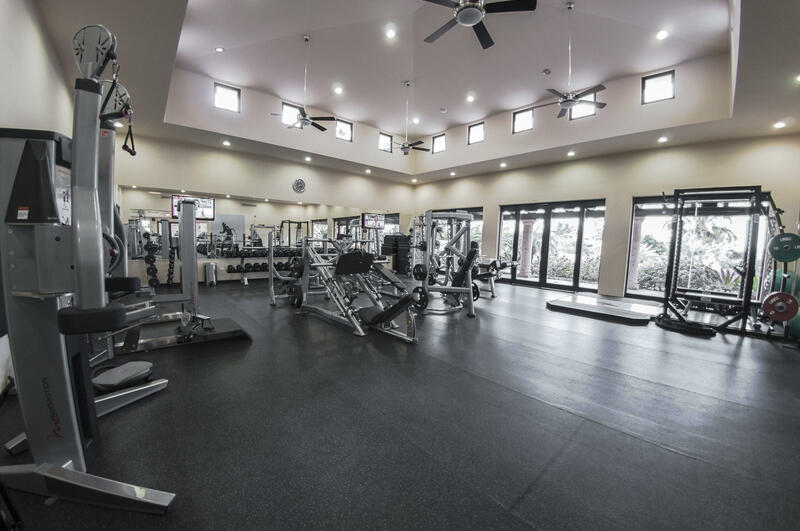 Includes small guest casita, 24-hour gated security, a small aircraft runway on-site and paved roads to the property all within one hour of the San Jose Int'l Airport. 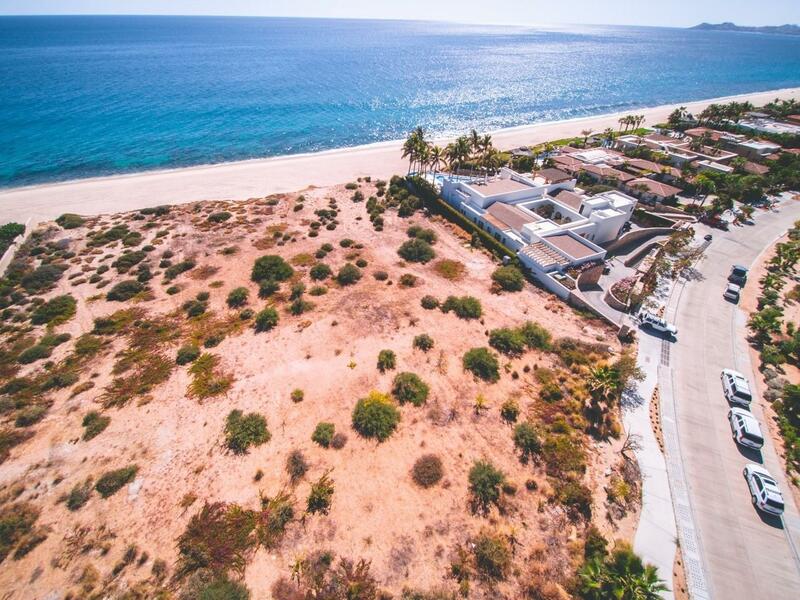 A legacy property! Description: The Beach Estates offer 37 home sites, all of which are minimum of one half acre in size. 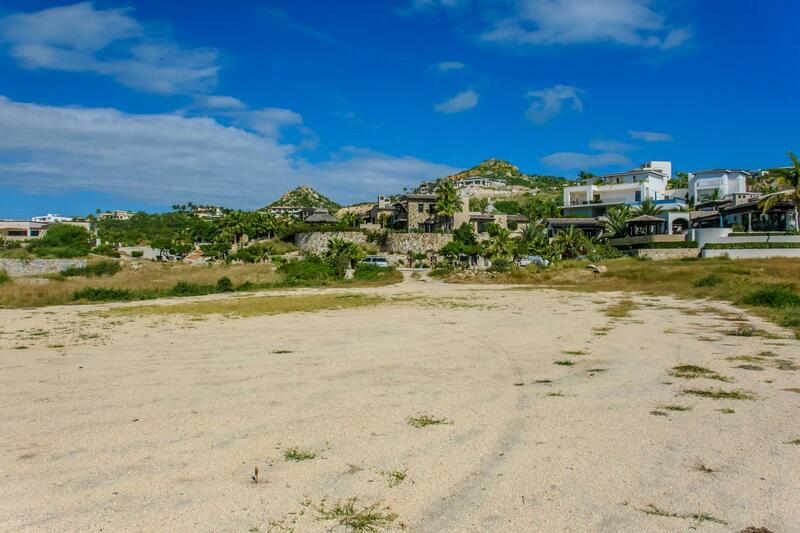 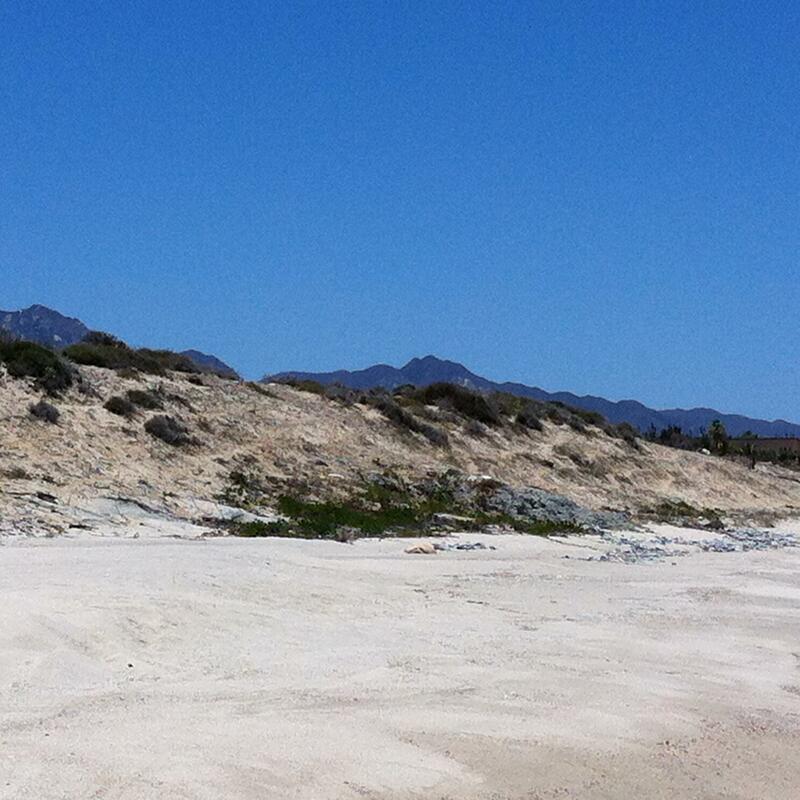 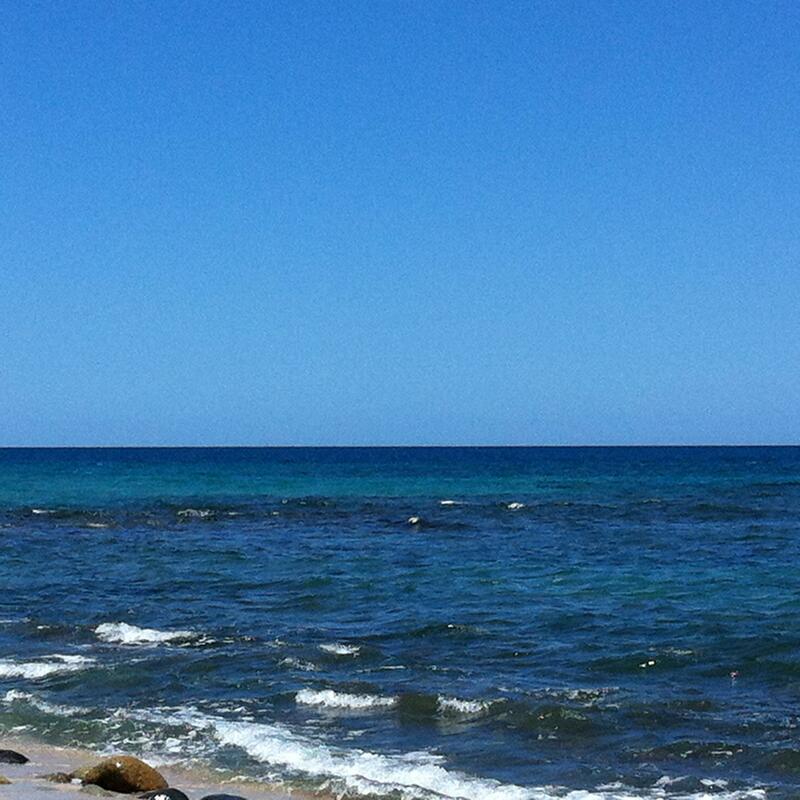 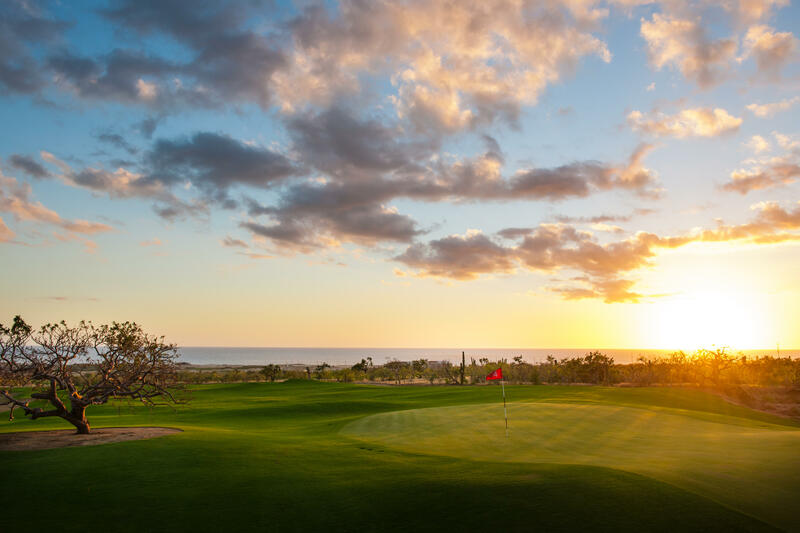 The rows of Estate lots are tiered, allowing each property to capture unobstructed views of the beach, golf and surf. 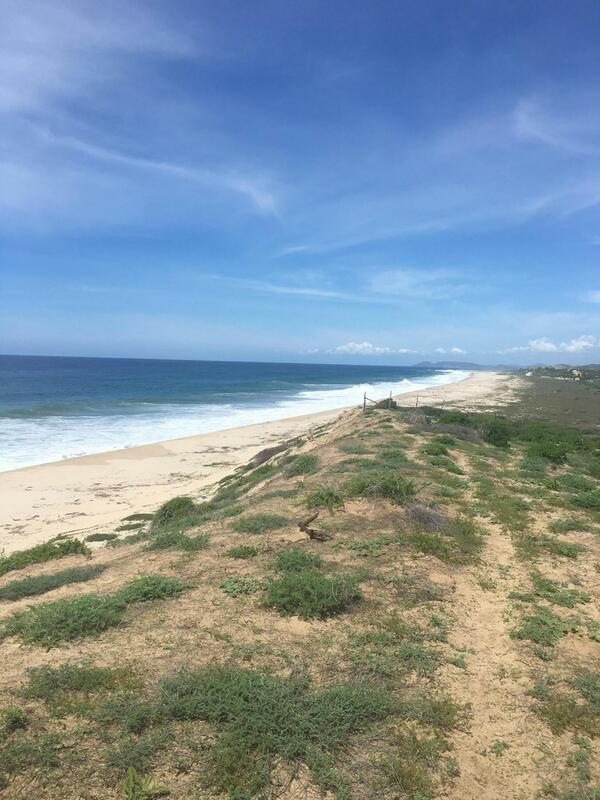 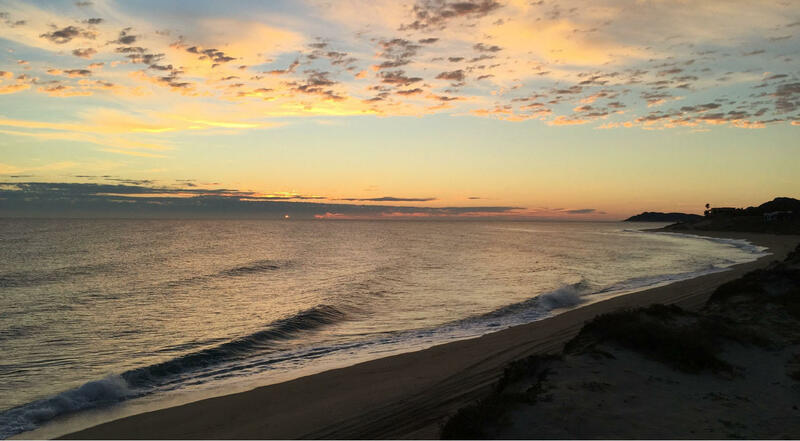 Description: The rows of Estate lots are tiered, allowing each property to capture unobstructed views of the beach, golf and surf. 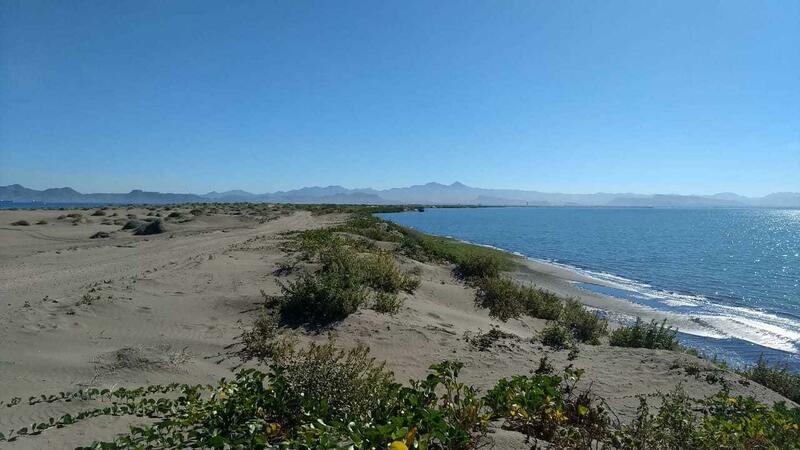 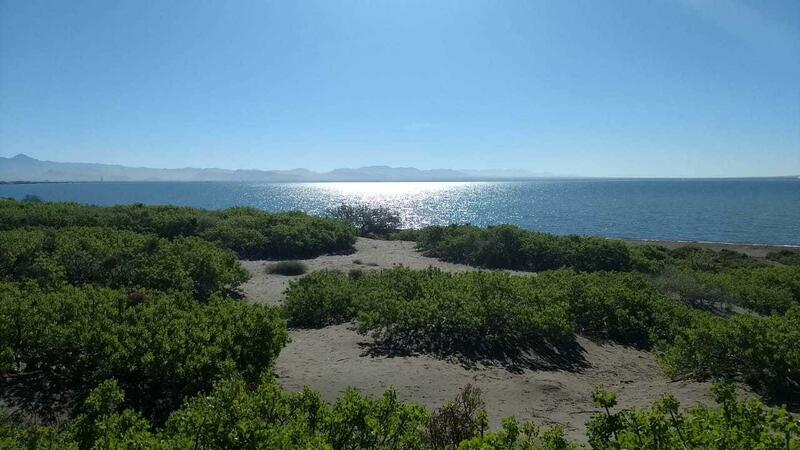 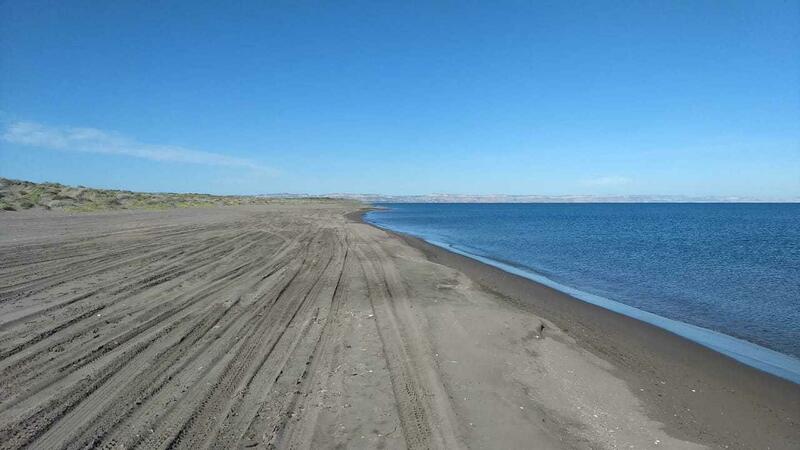 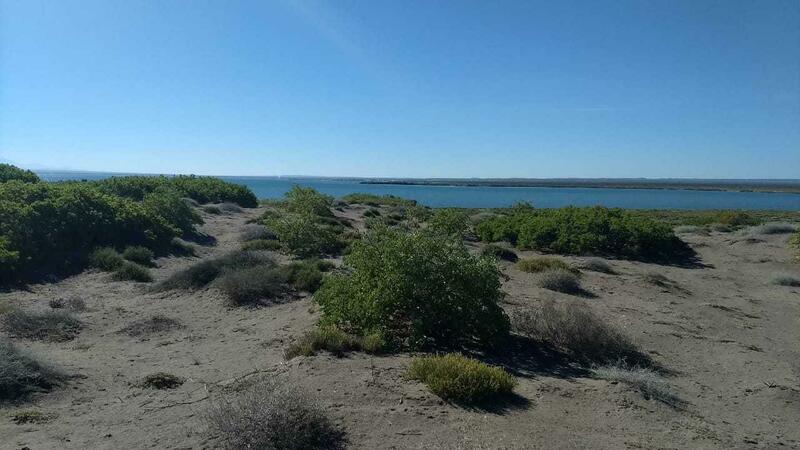 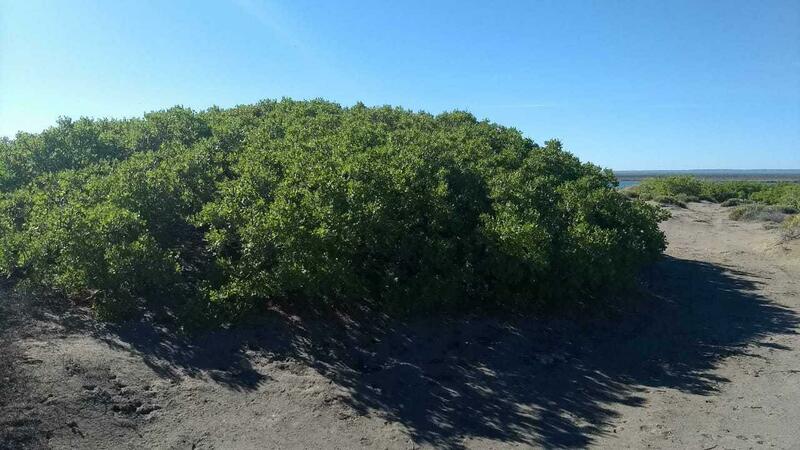 Description: El Mogote, a beautiful peninsula in La Paz Bay right in front of the city, 25 minutes' drive from the Malecon, with breathtaking views and high added value. 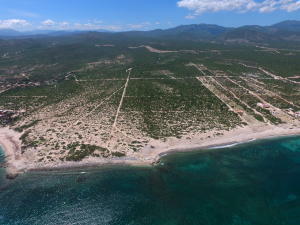 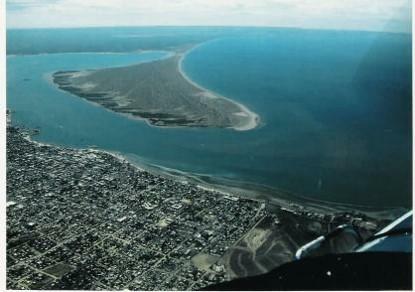 El Mogote, bella peninsula dentro de la Bahia de La Paz frente a la ciudad a 25 minutos de manejo desde el malecon, con impresionantes vistas y alta plusvalia.